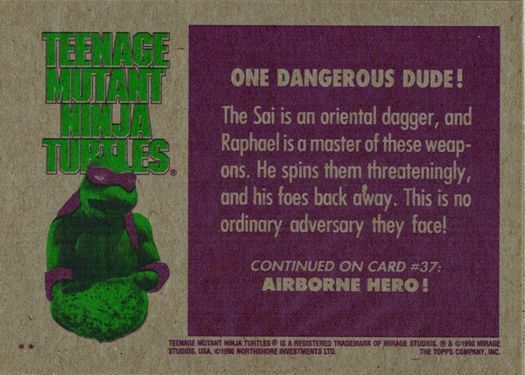 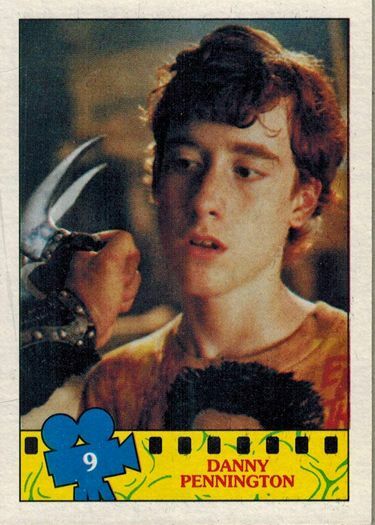 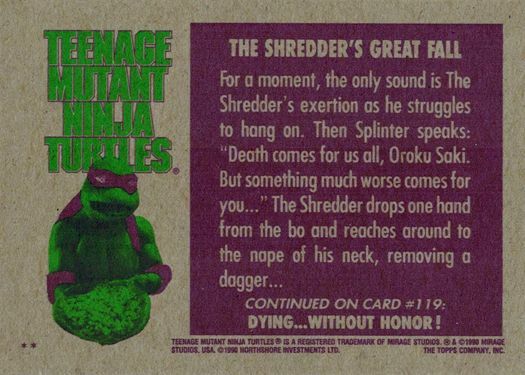 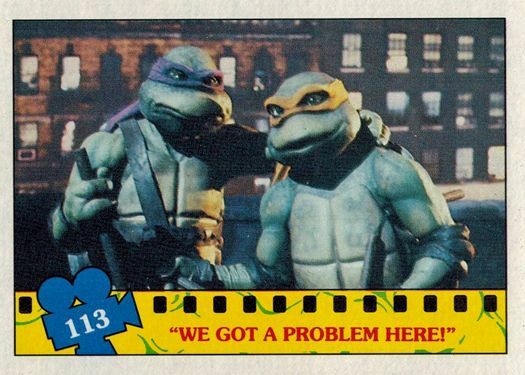 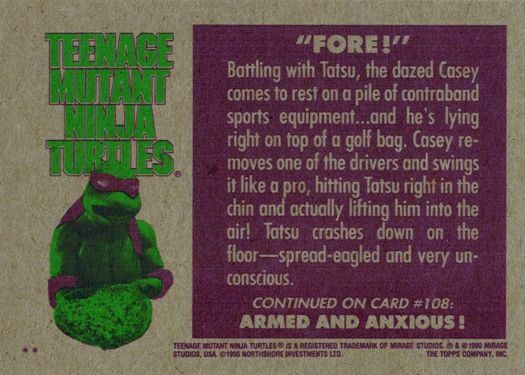 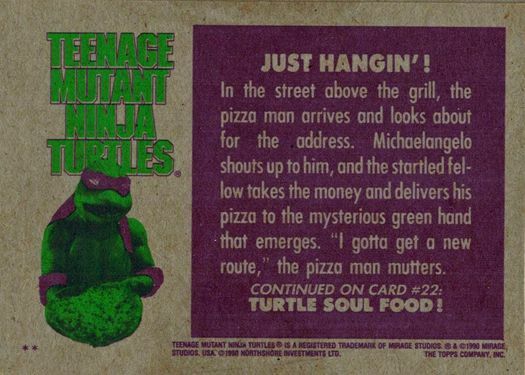 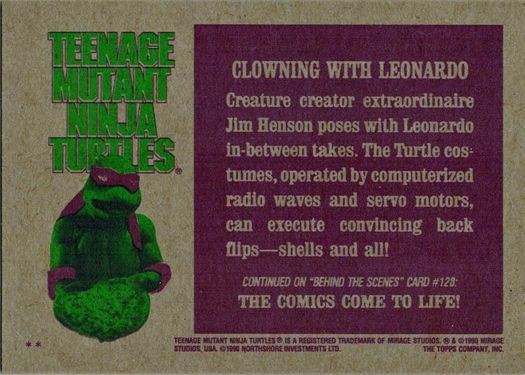 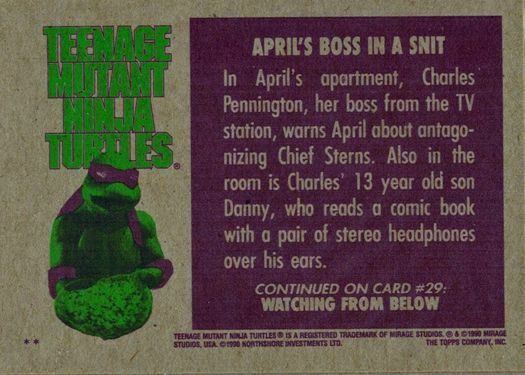 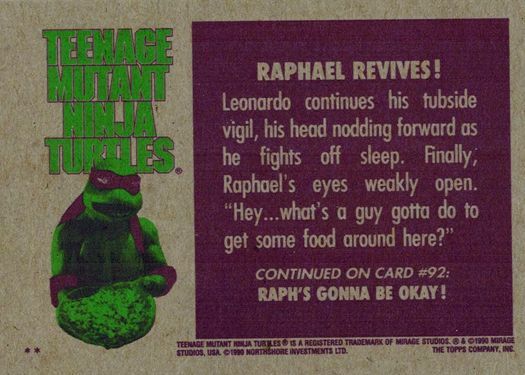 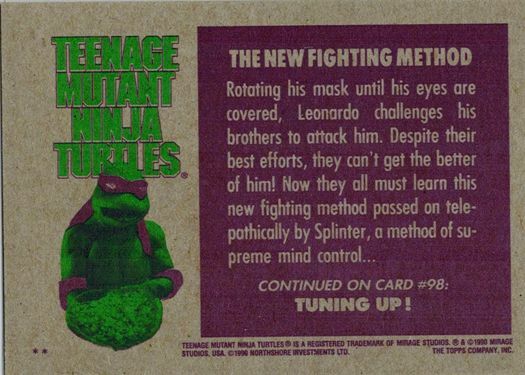 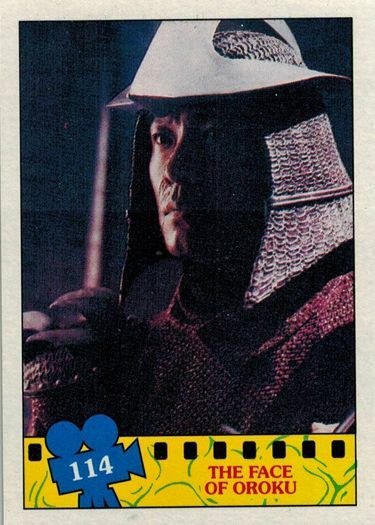 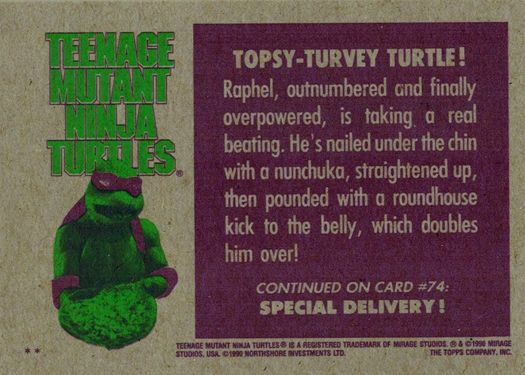 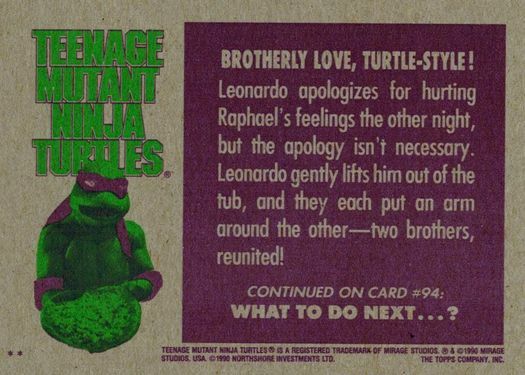 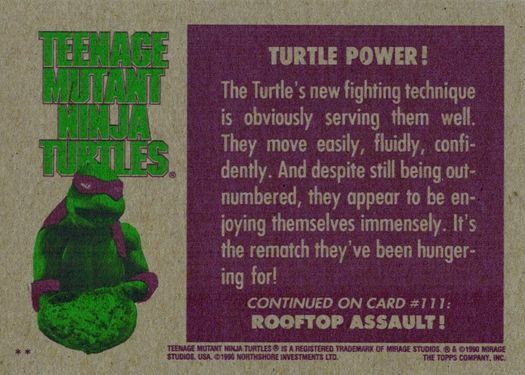 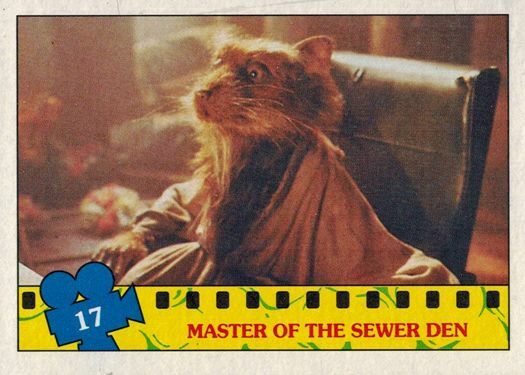 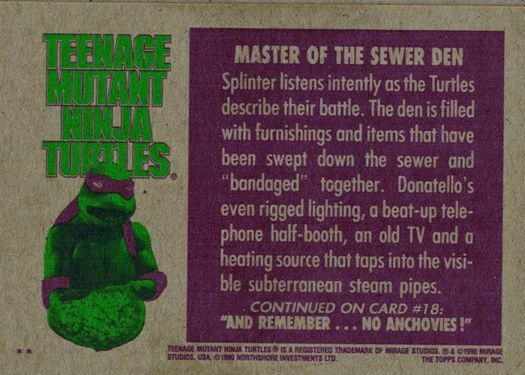 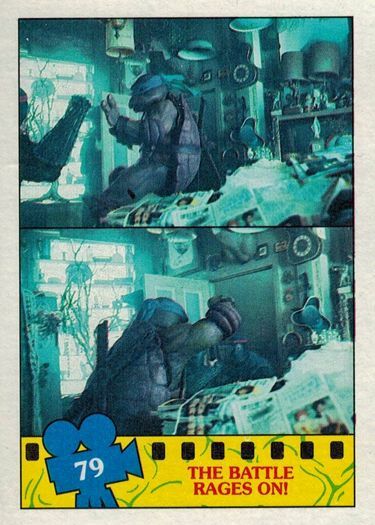 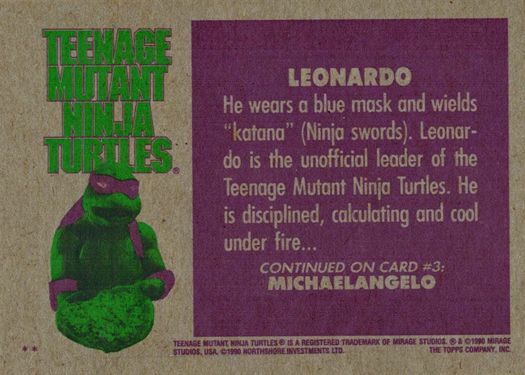 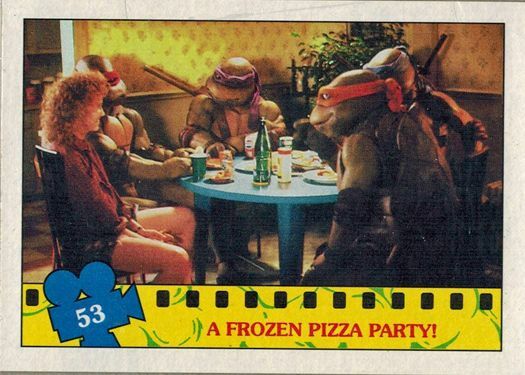 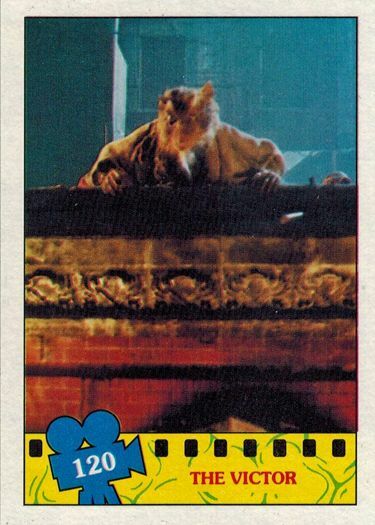 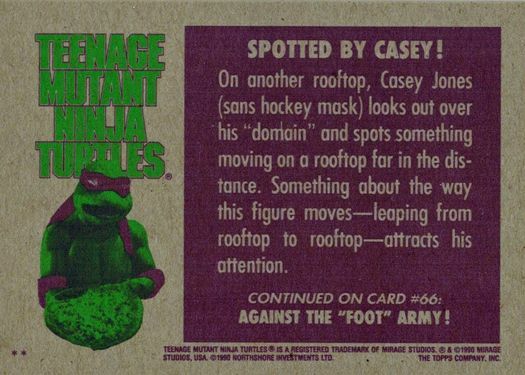 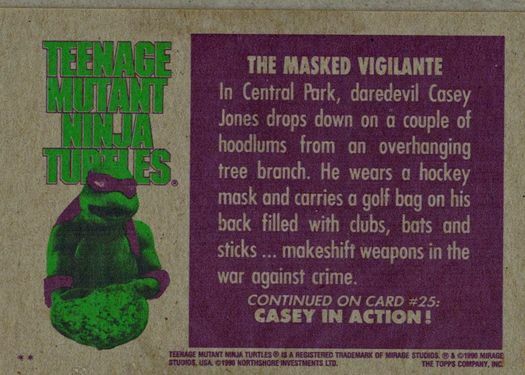 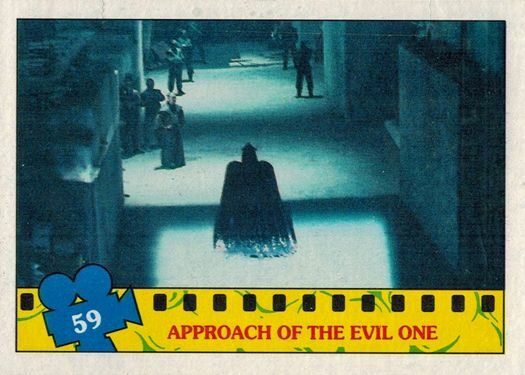 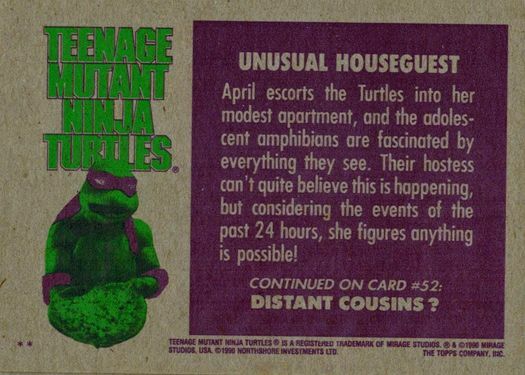 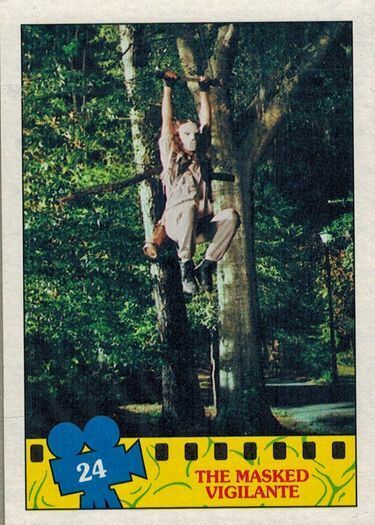 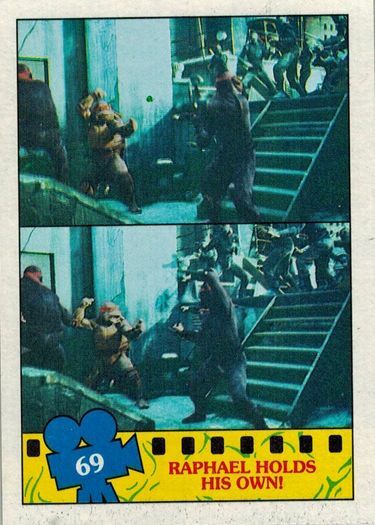 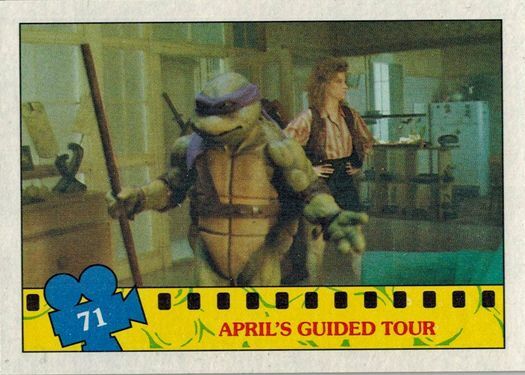 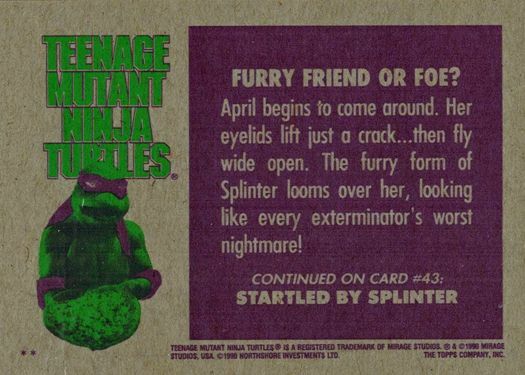 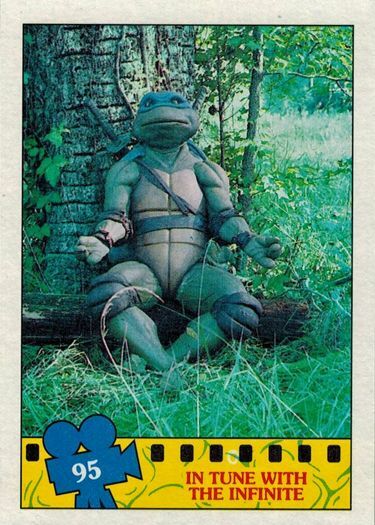 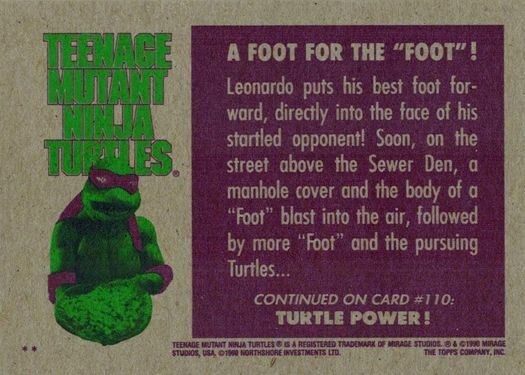 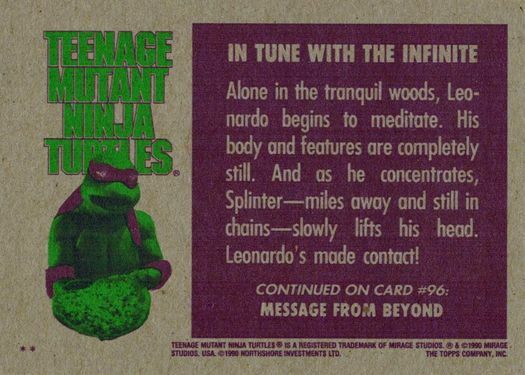 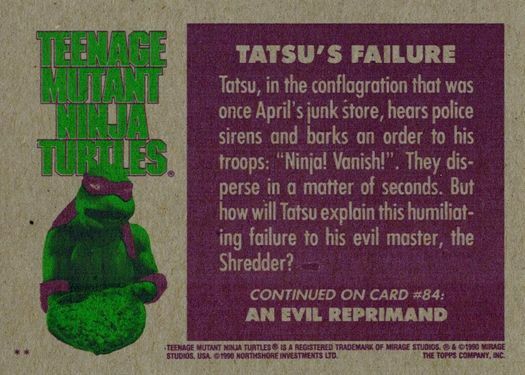 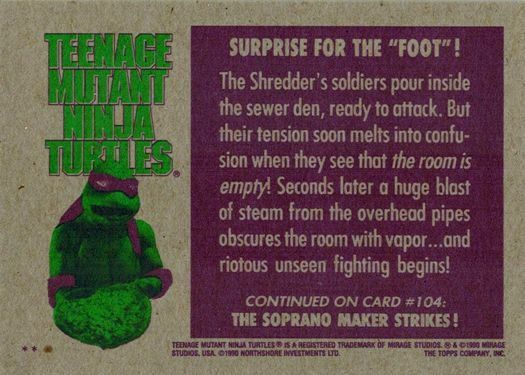 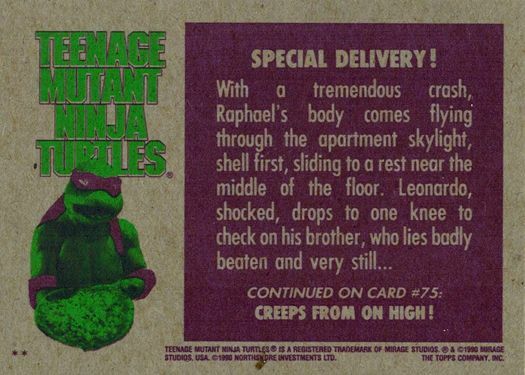 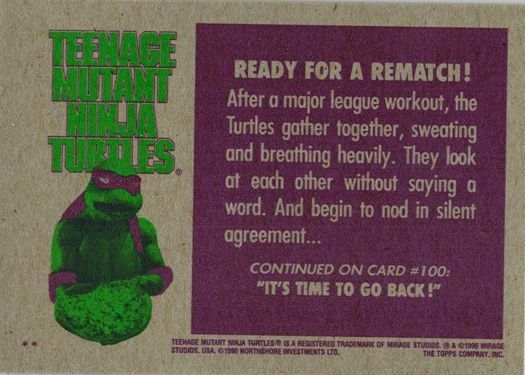 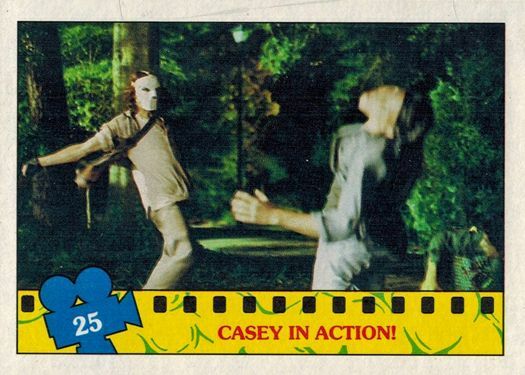 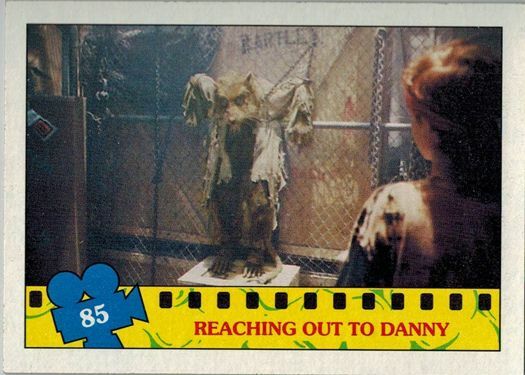 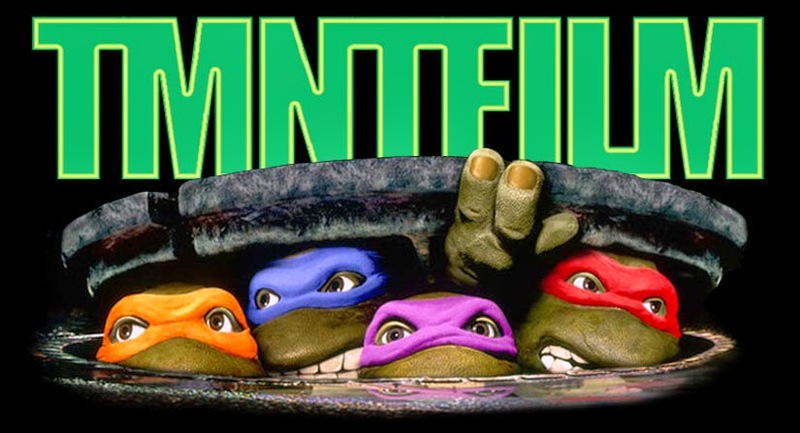 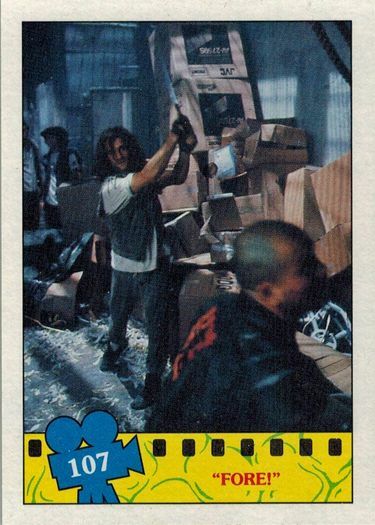 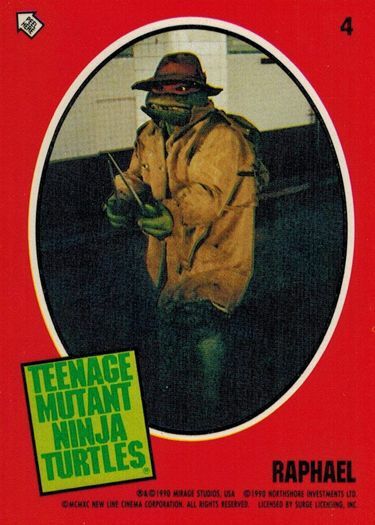 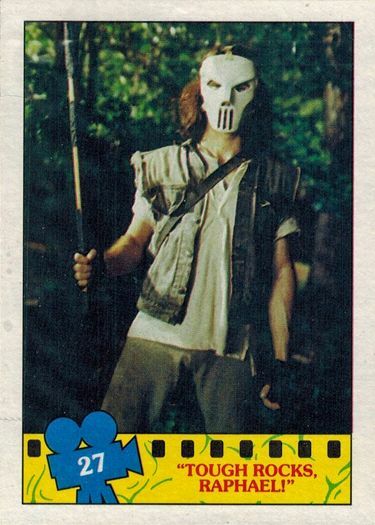 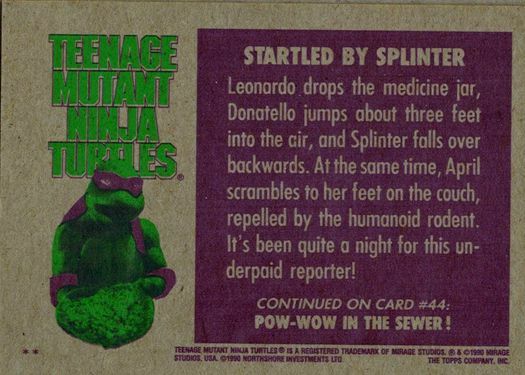 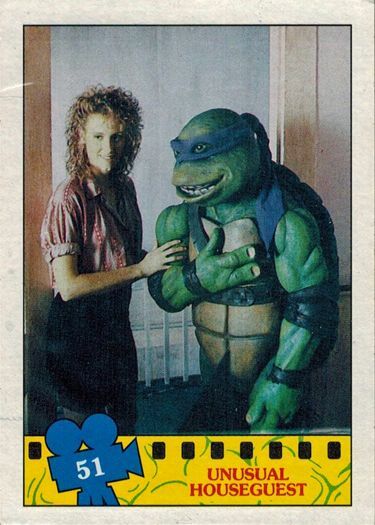 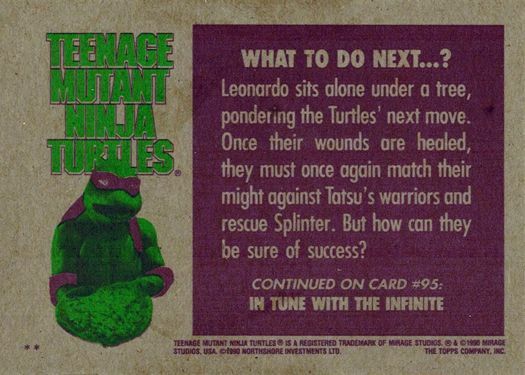 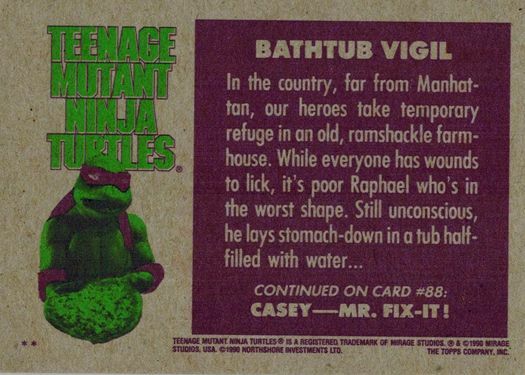 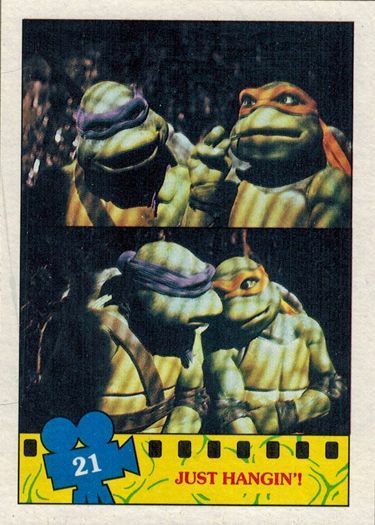 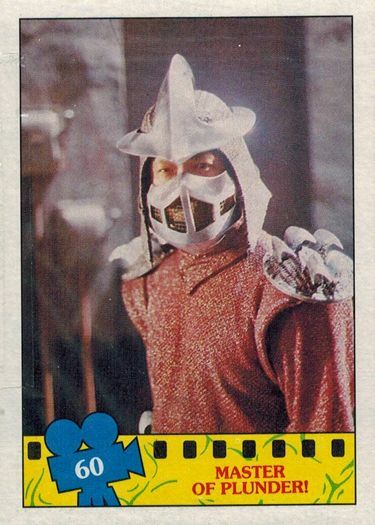 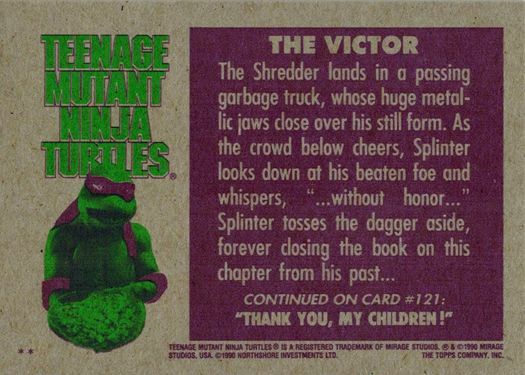 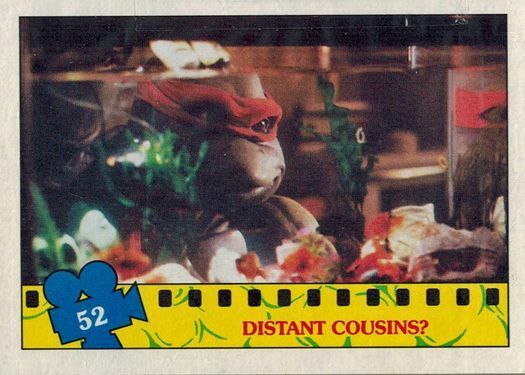 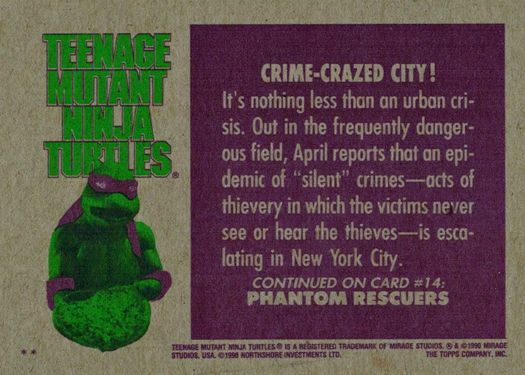 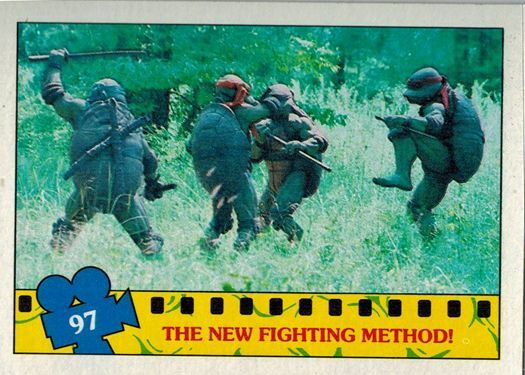 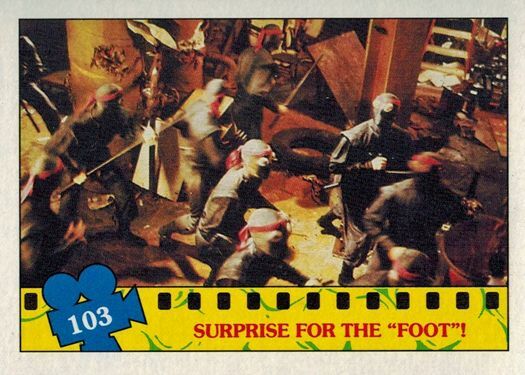 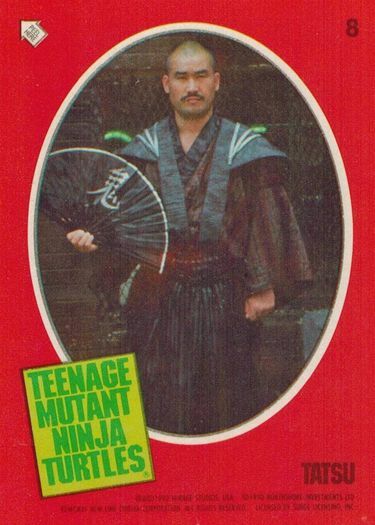 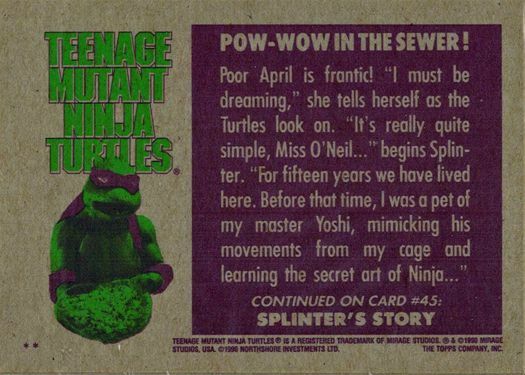 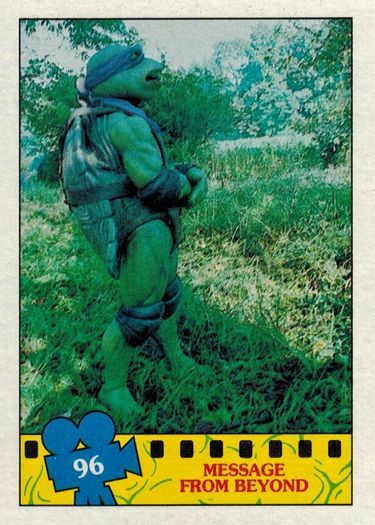 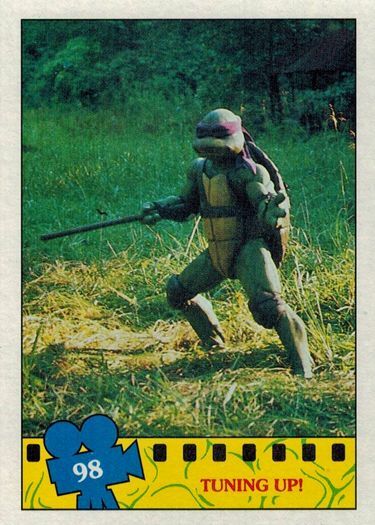 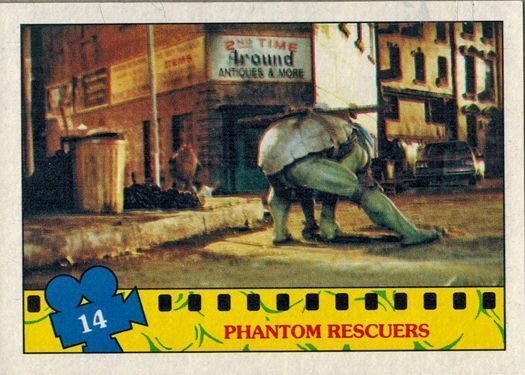 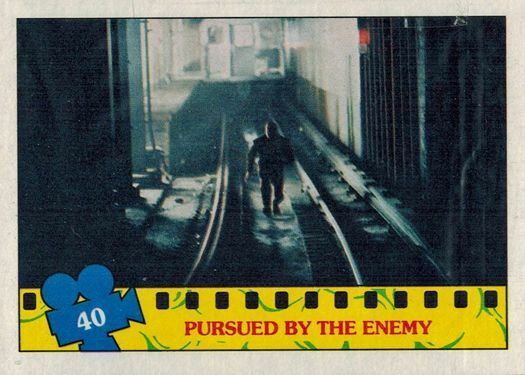 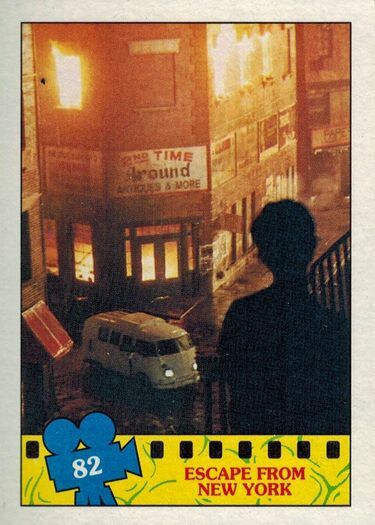 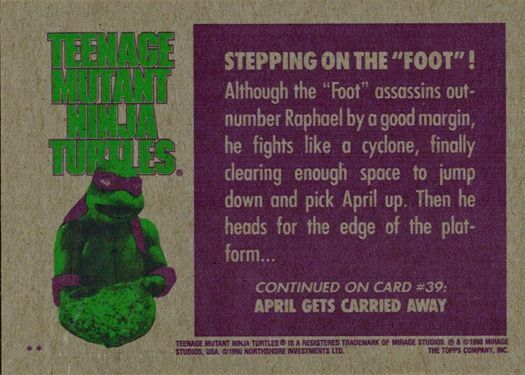 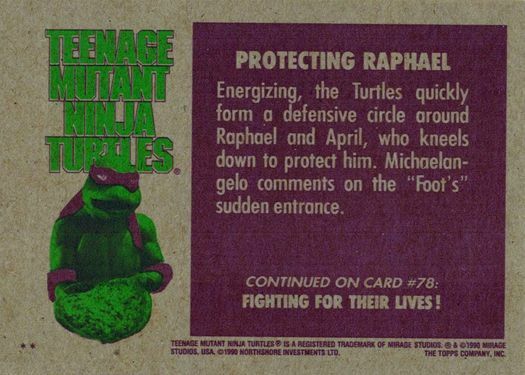 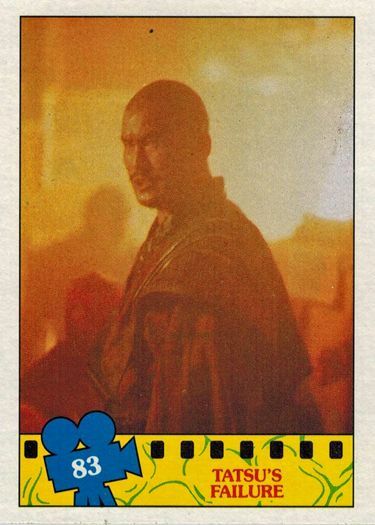 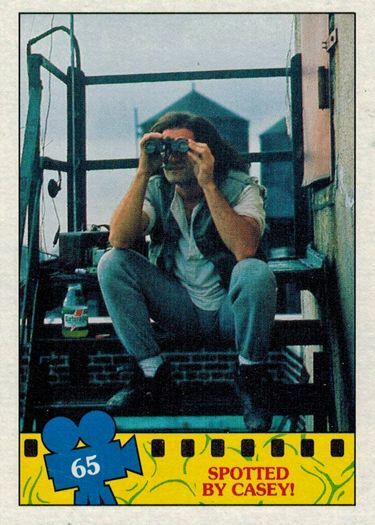 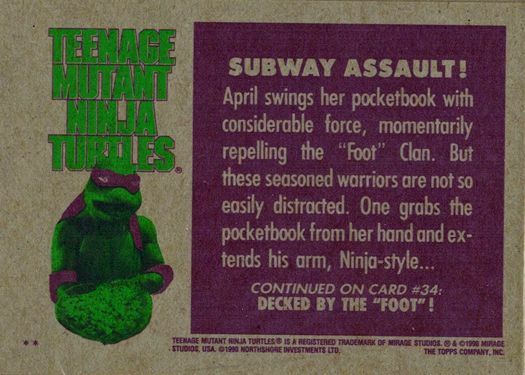 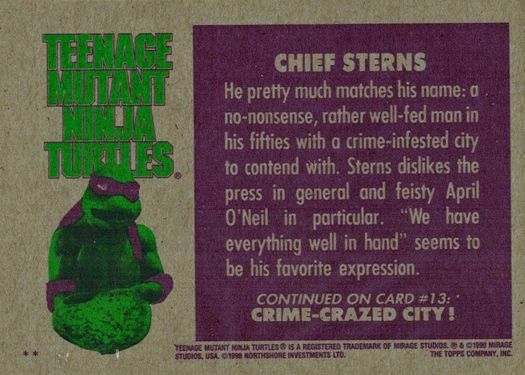 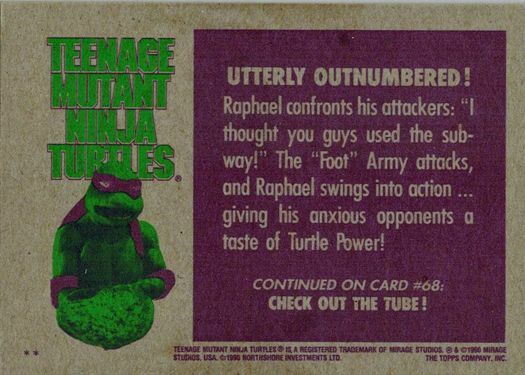 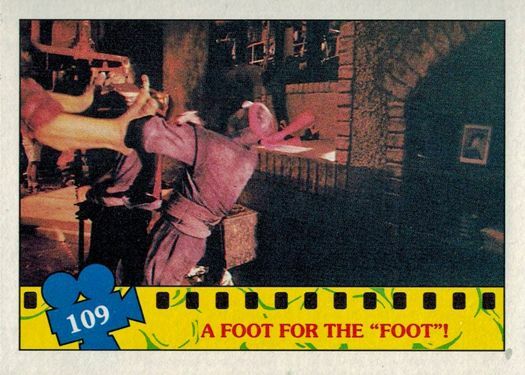 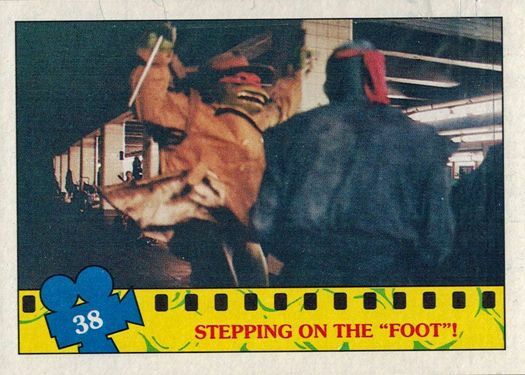 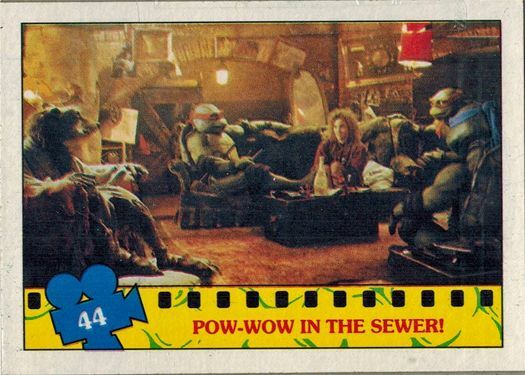 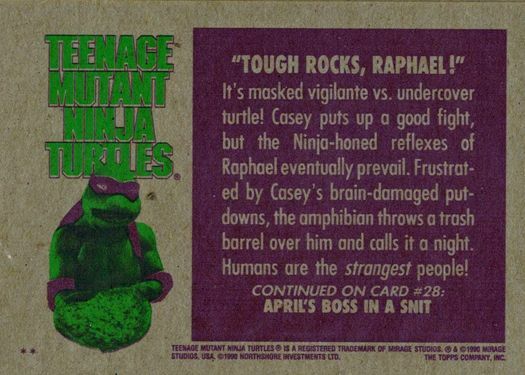 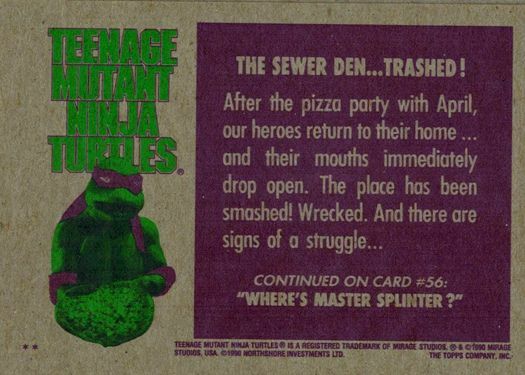 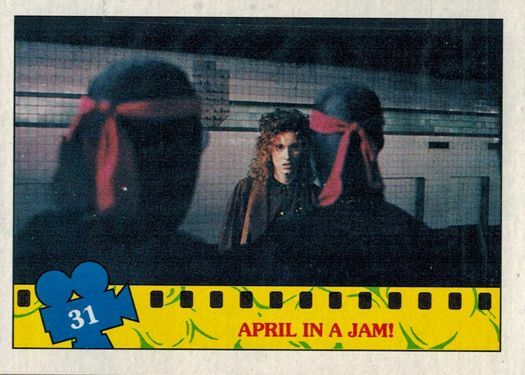 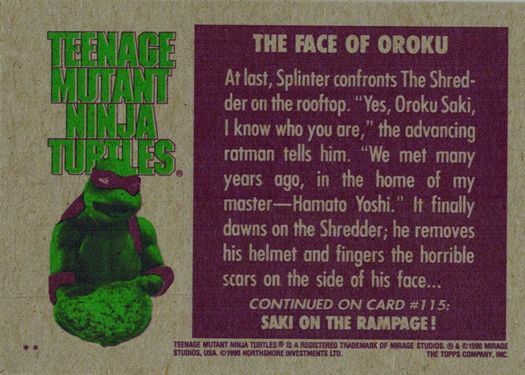 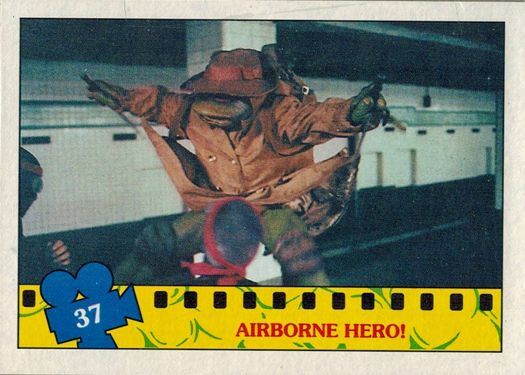 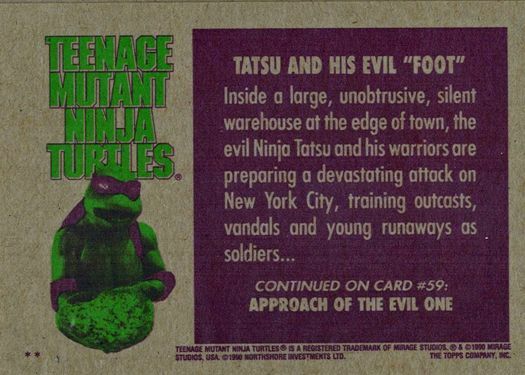 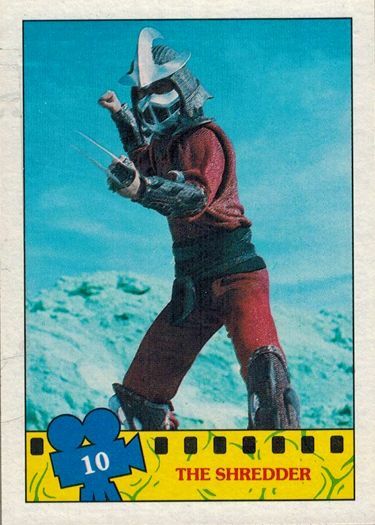 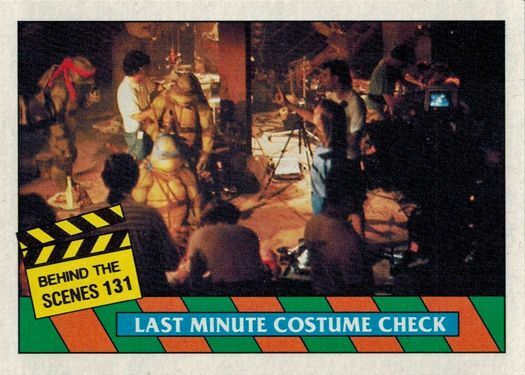 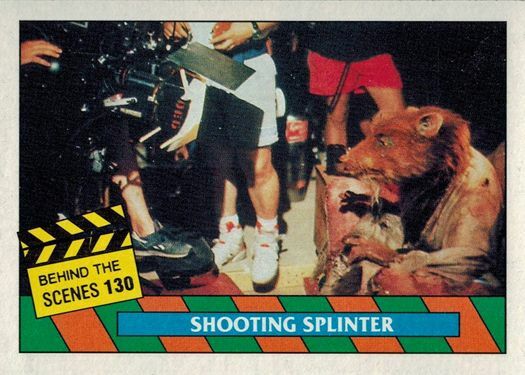 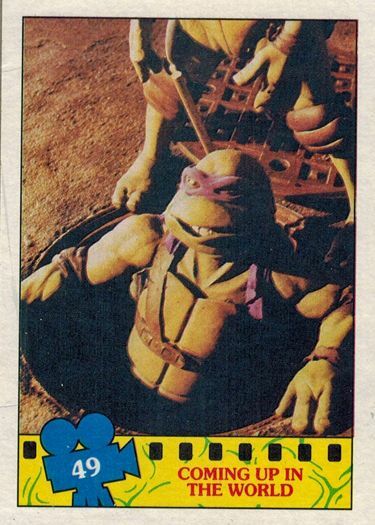 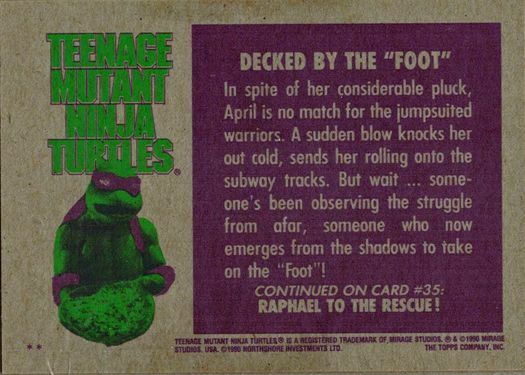 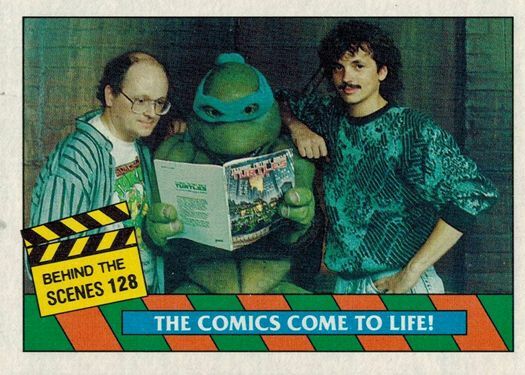 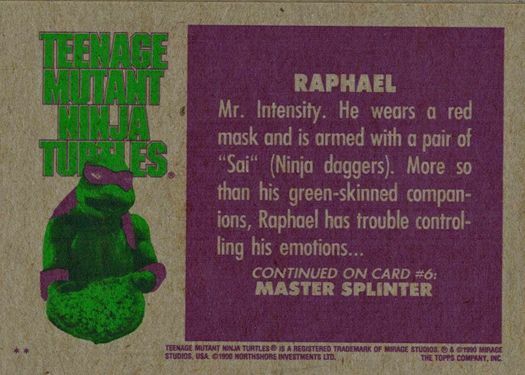 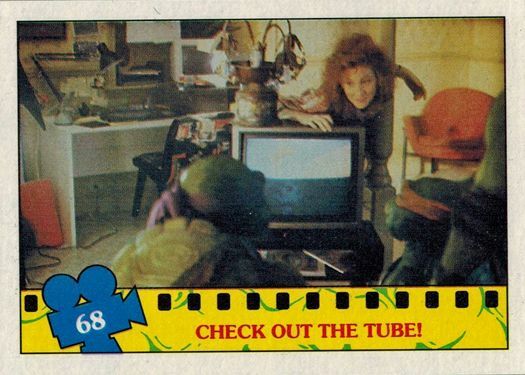 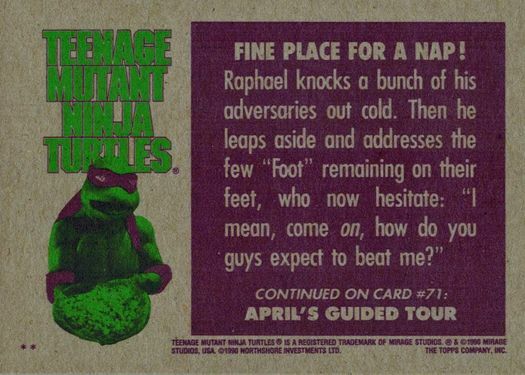 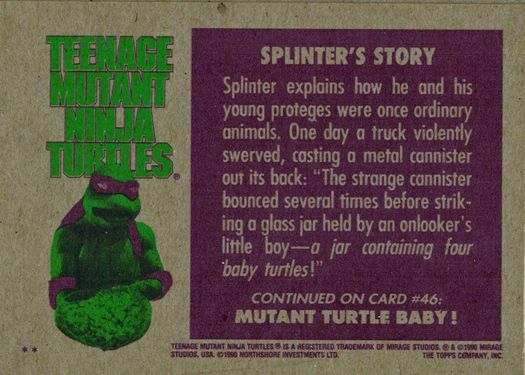 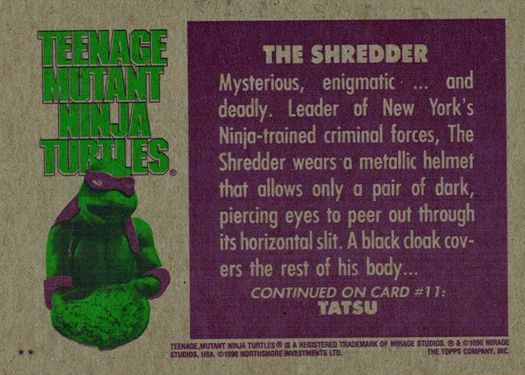 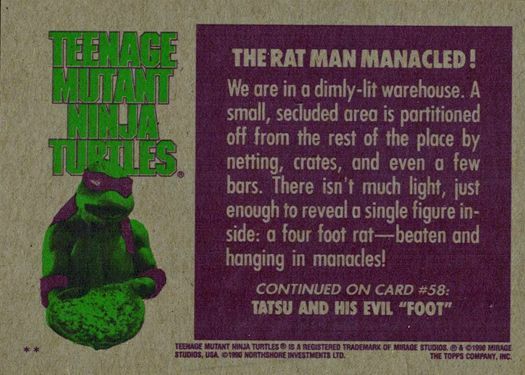 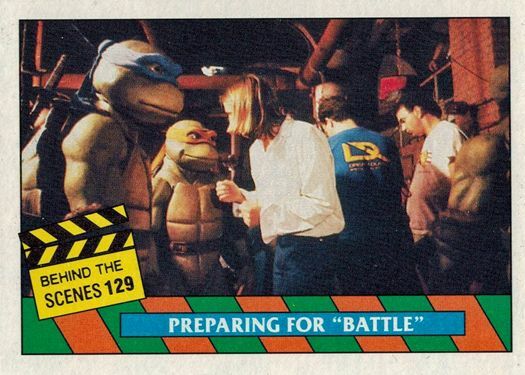 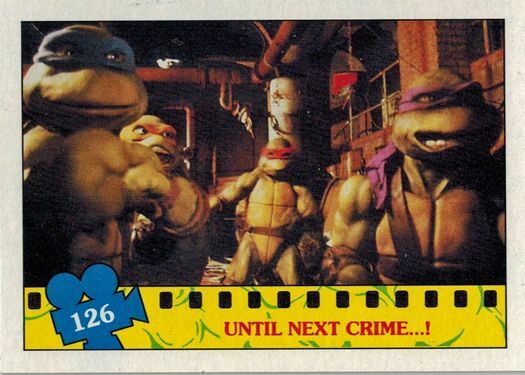 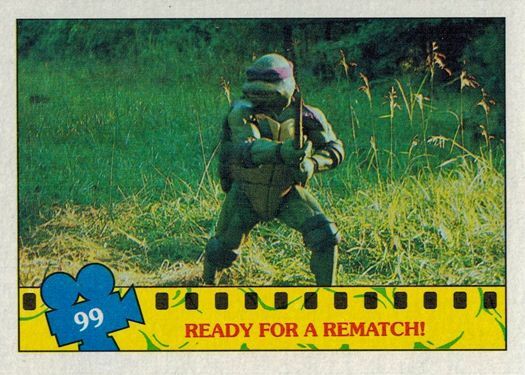 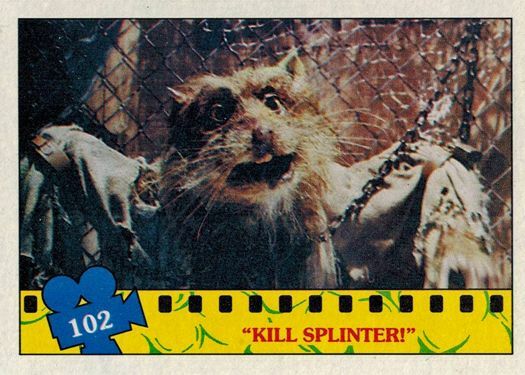 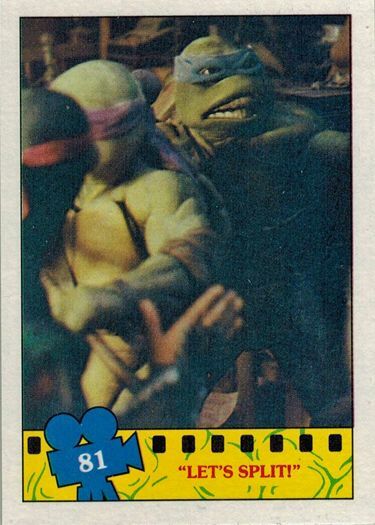 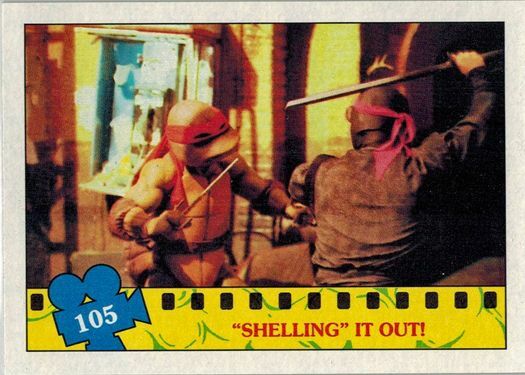 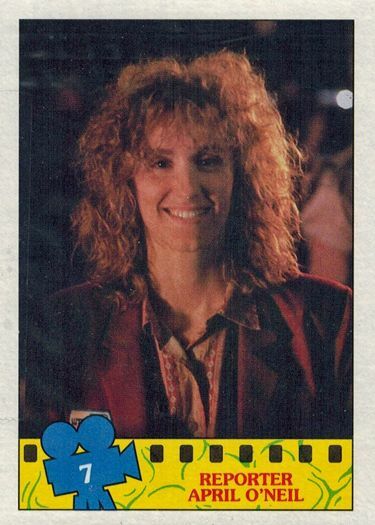 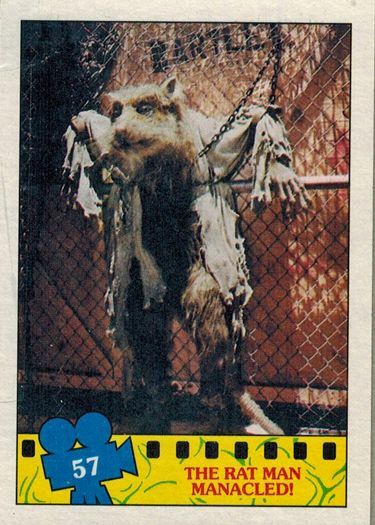 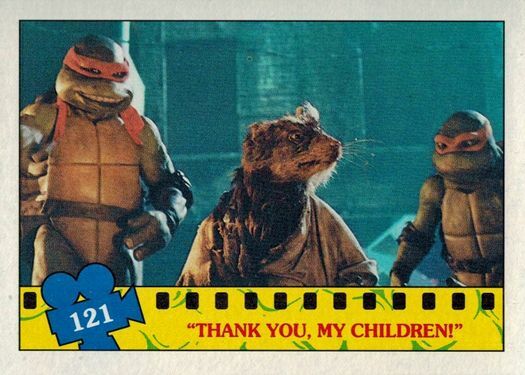 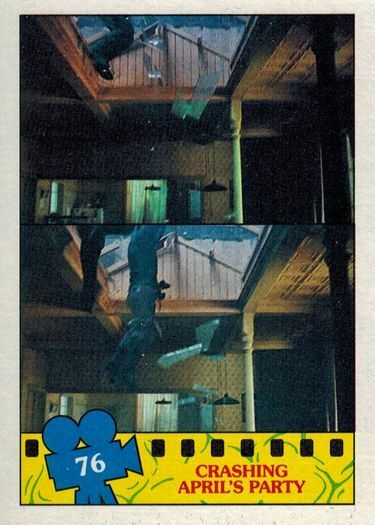 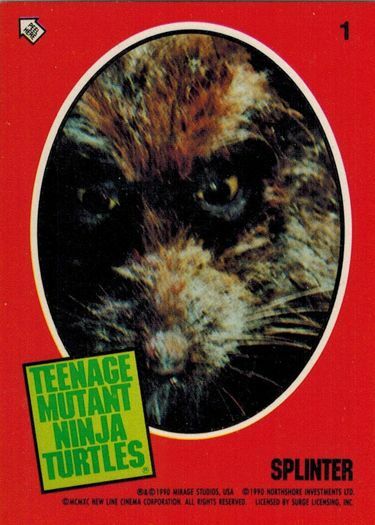 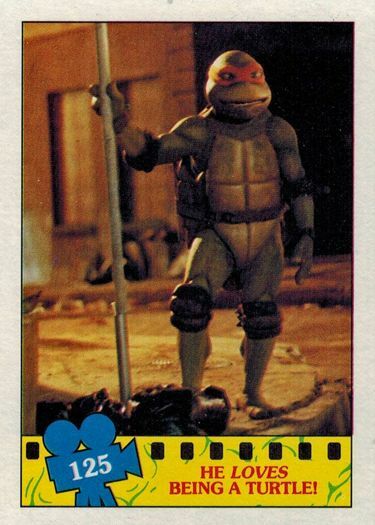 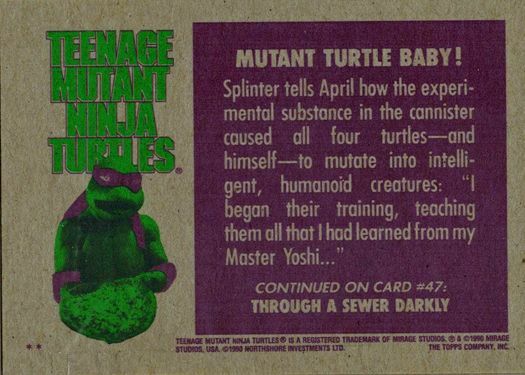 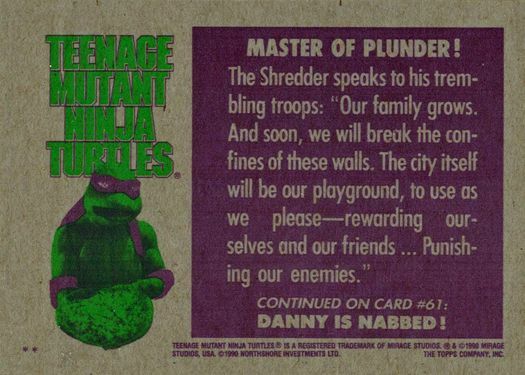 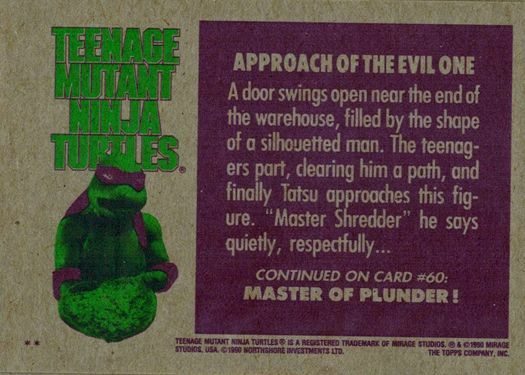 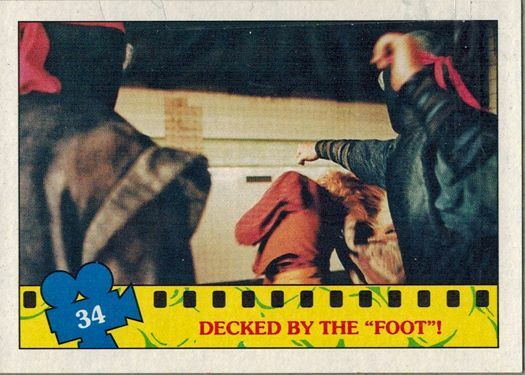 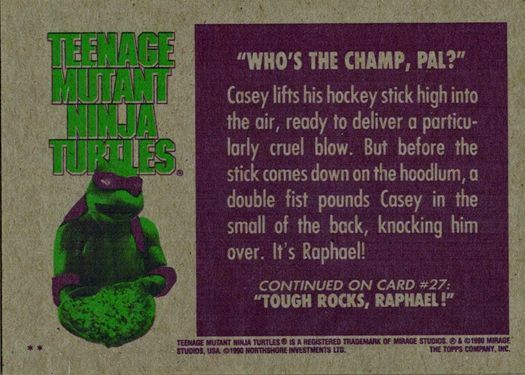 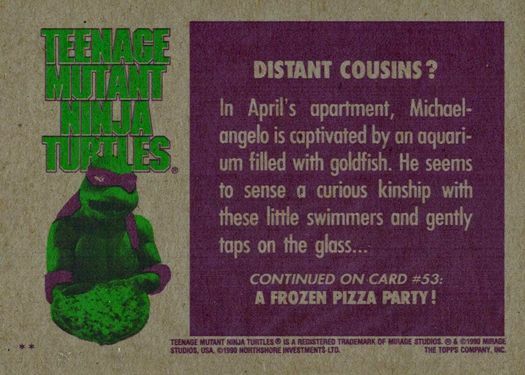 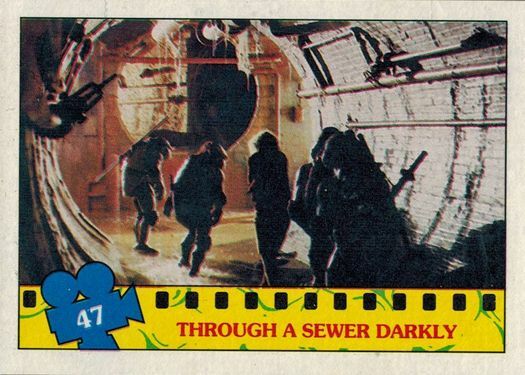 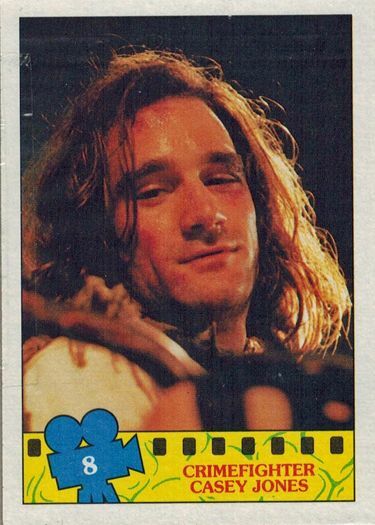 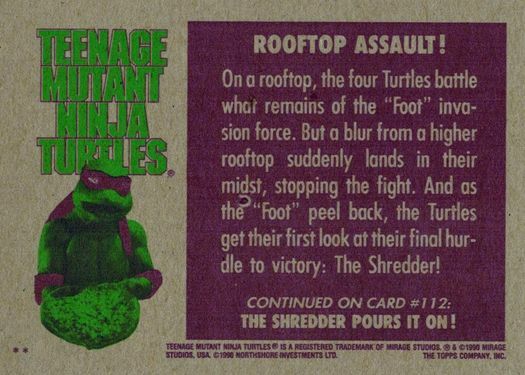 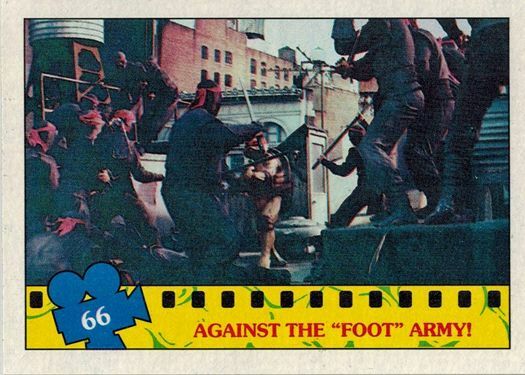 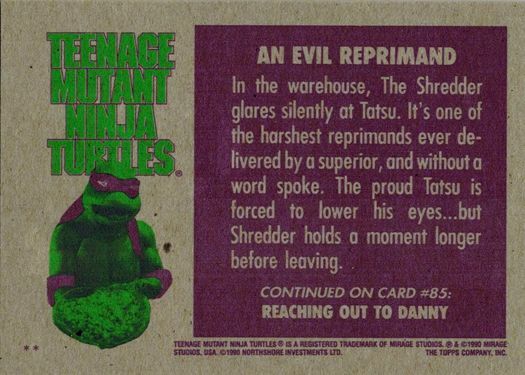 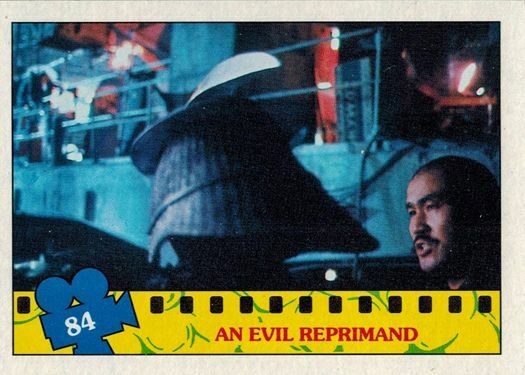 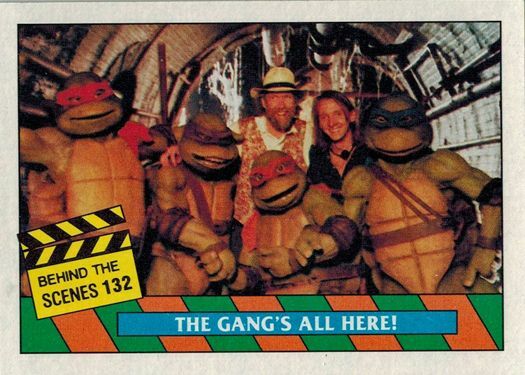 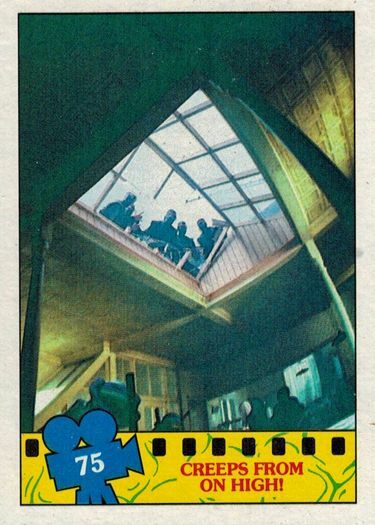 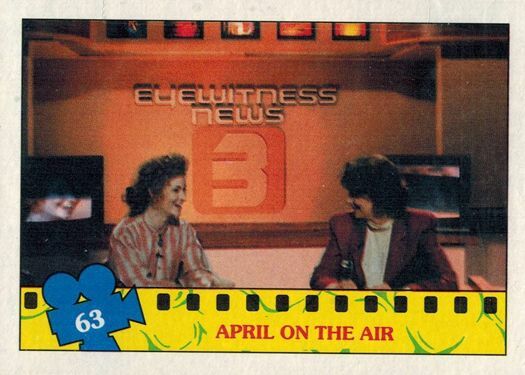 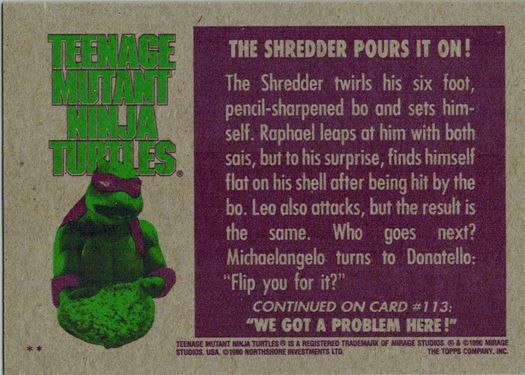 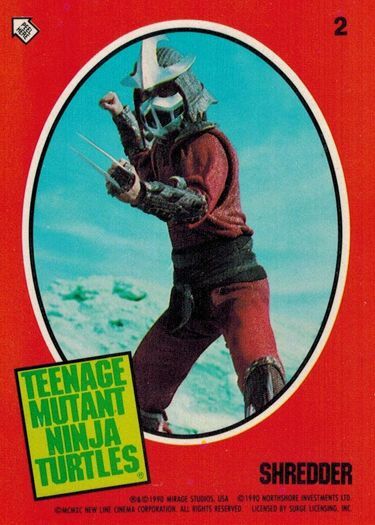 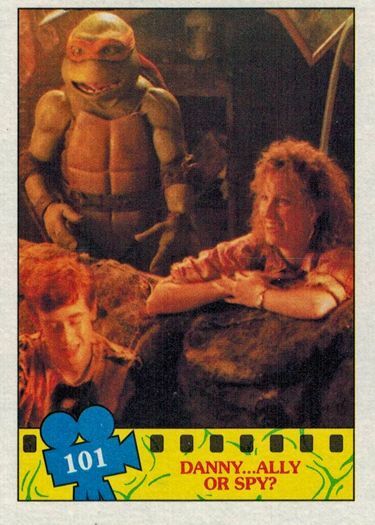 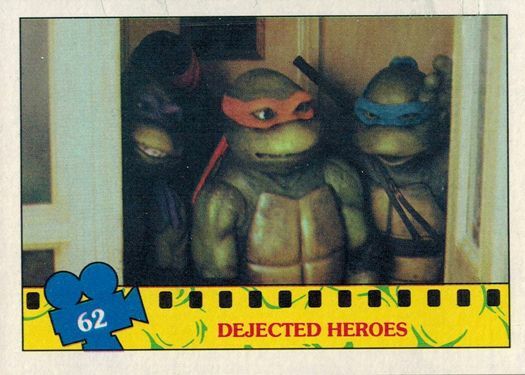 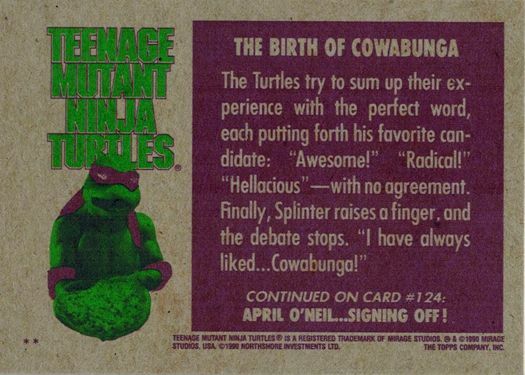 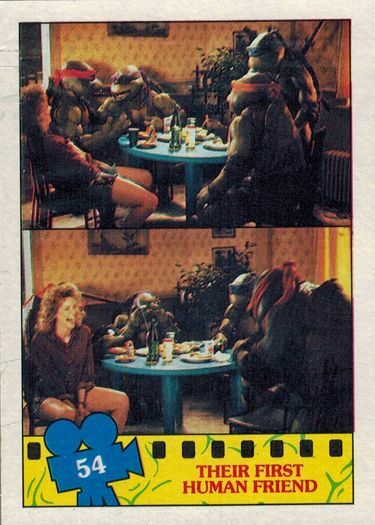 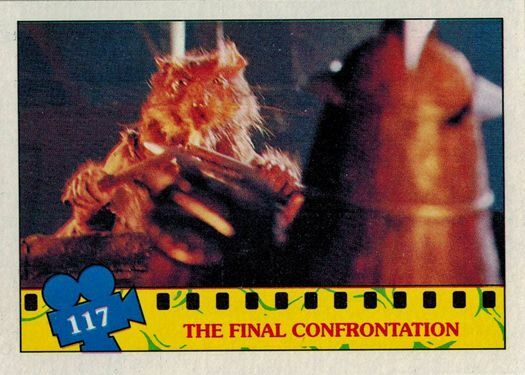 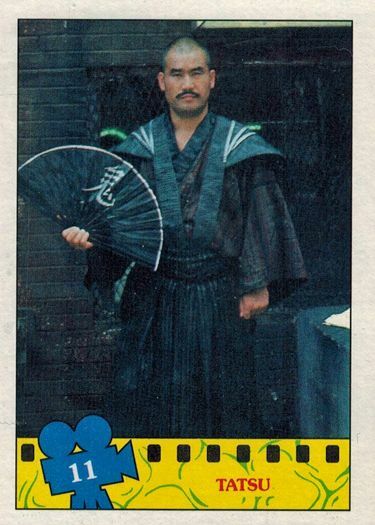 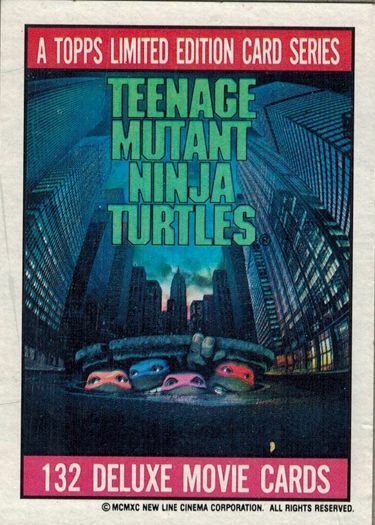 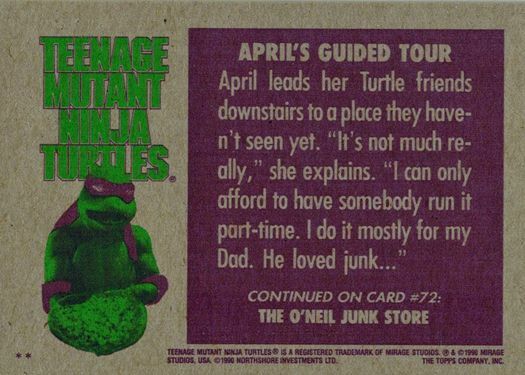 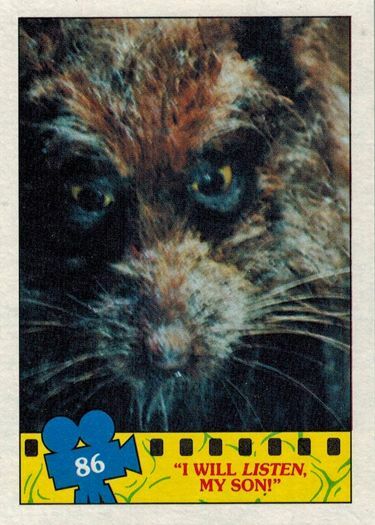 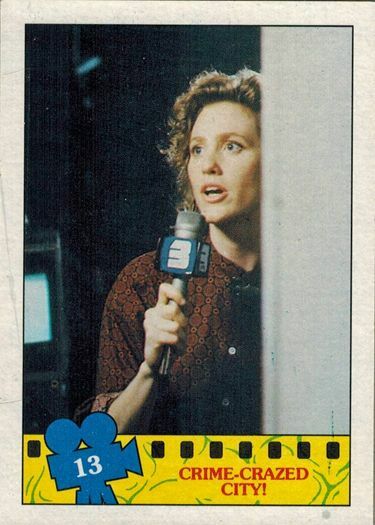 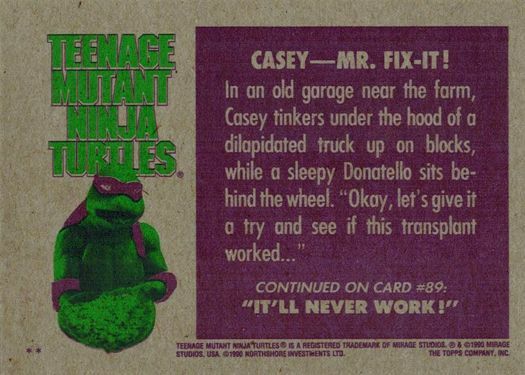 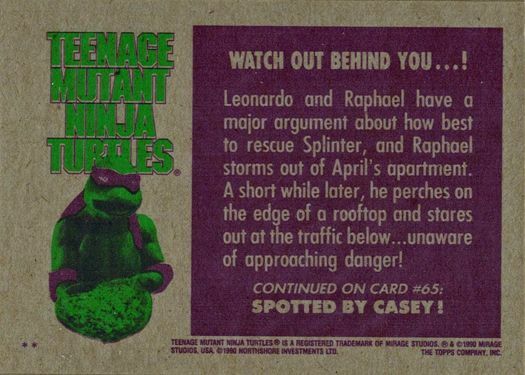 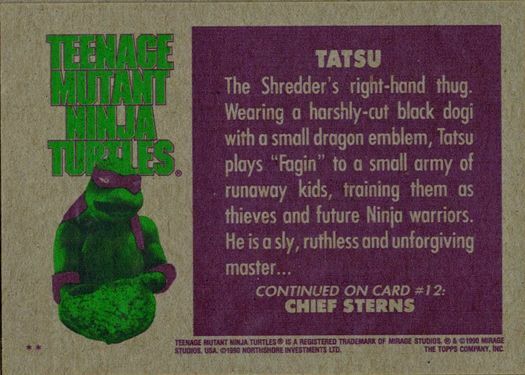 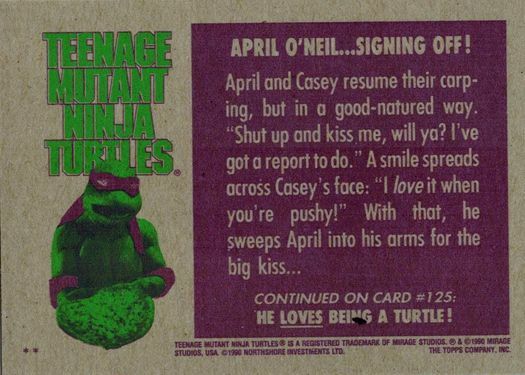 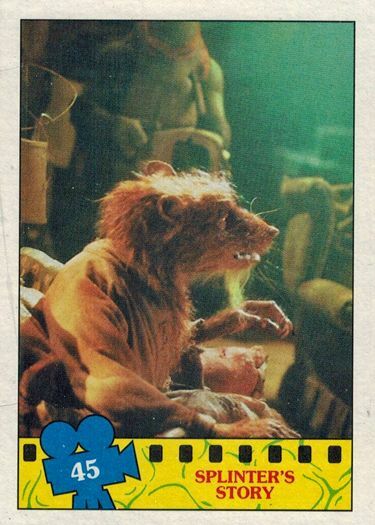 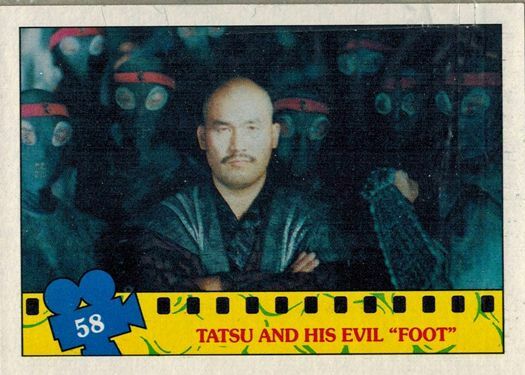 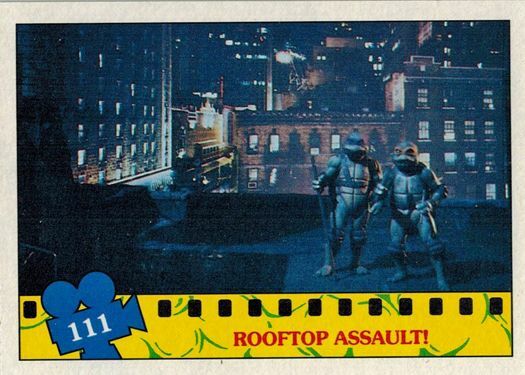 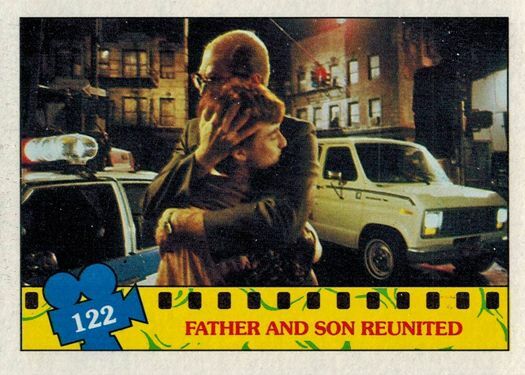 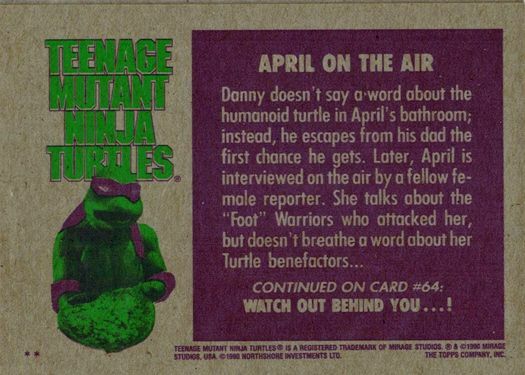 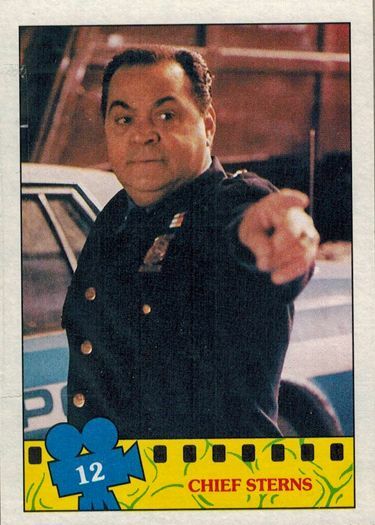 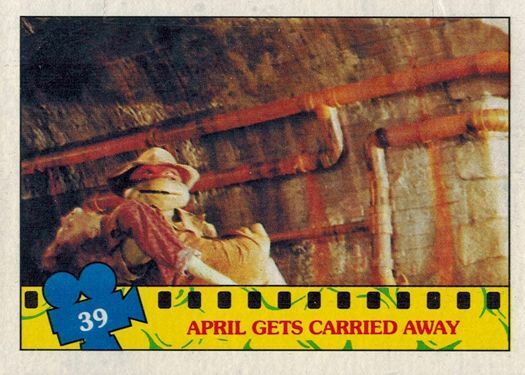 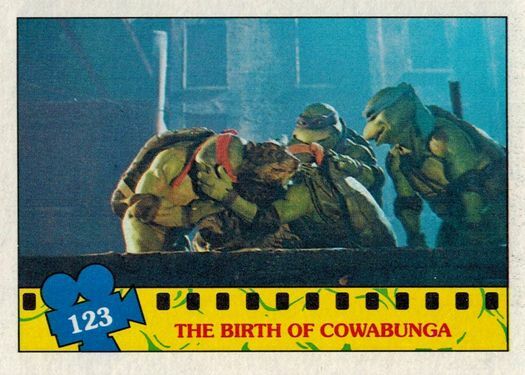 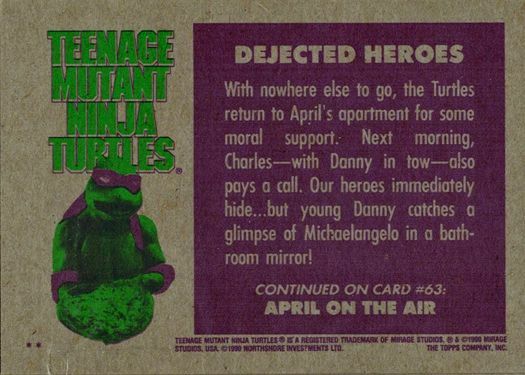 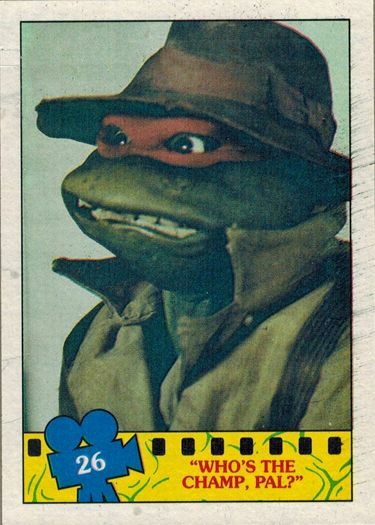 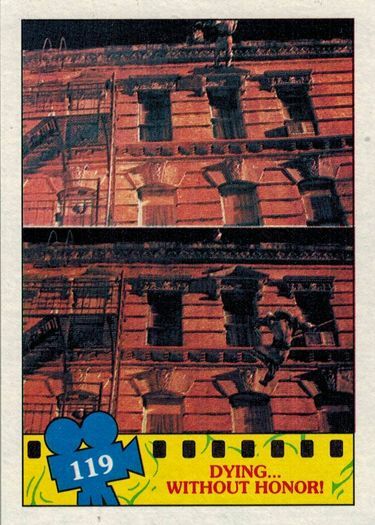 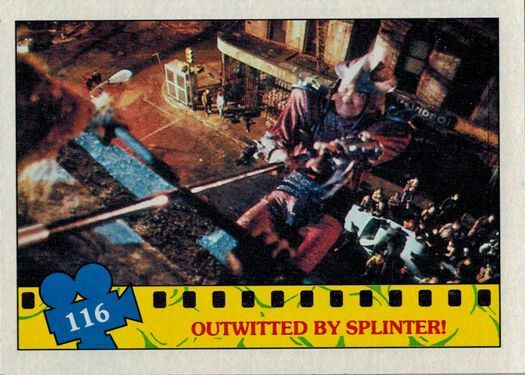 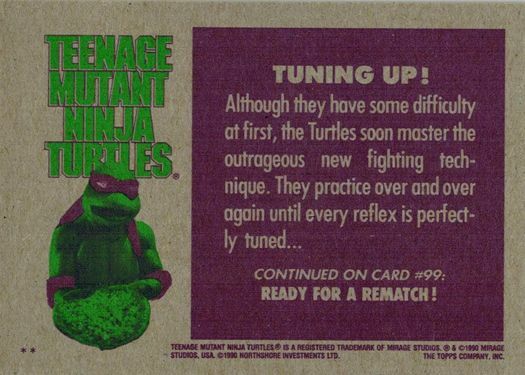 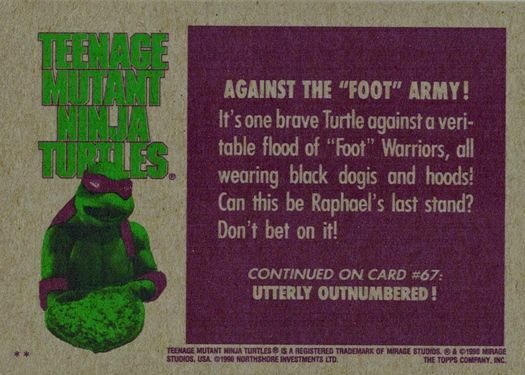 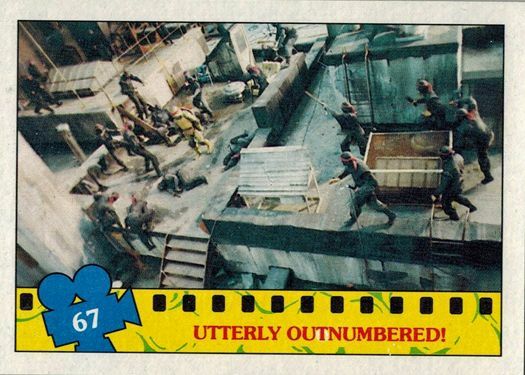 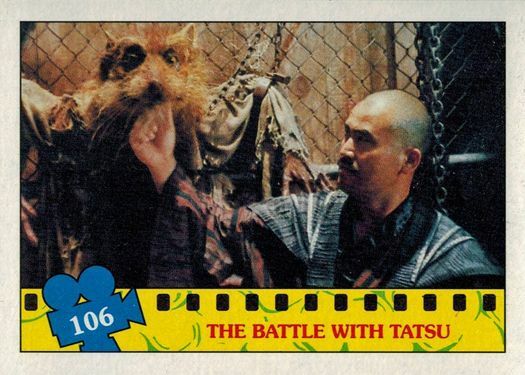 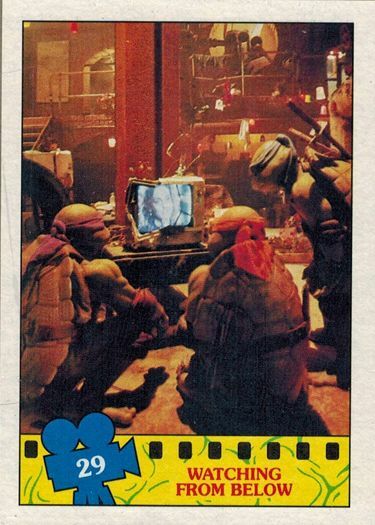 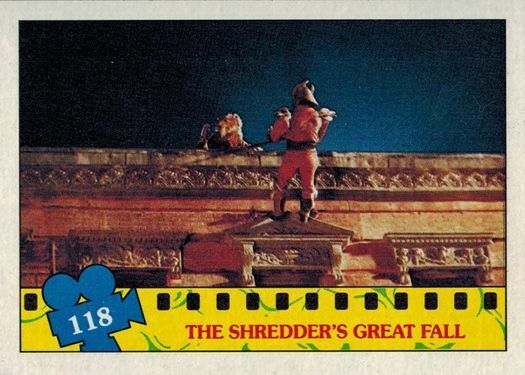 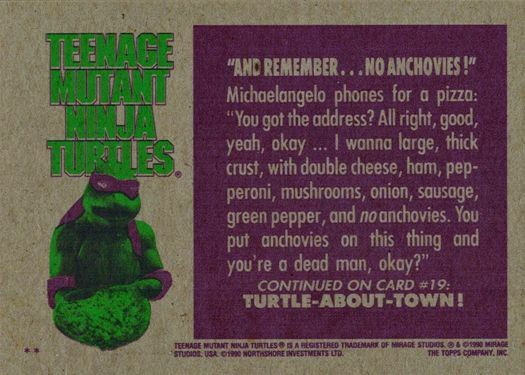 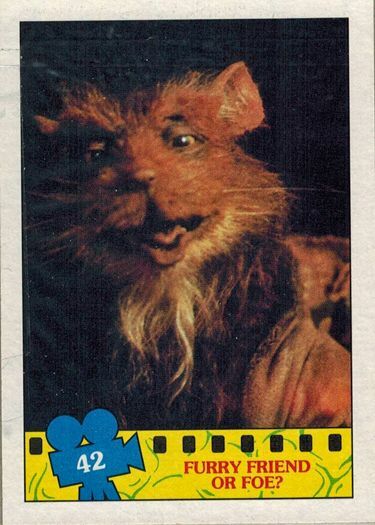 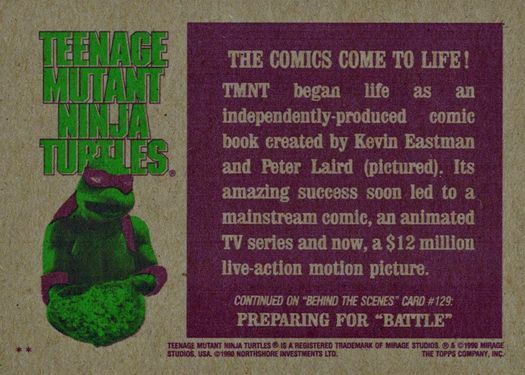 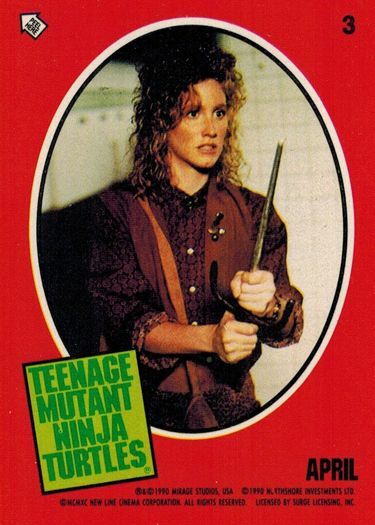 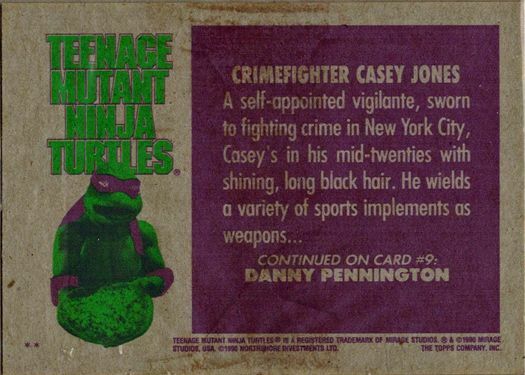 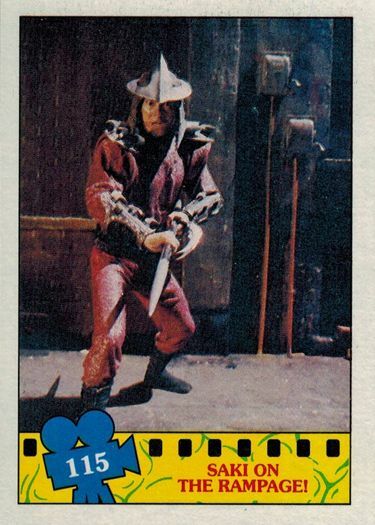 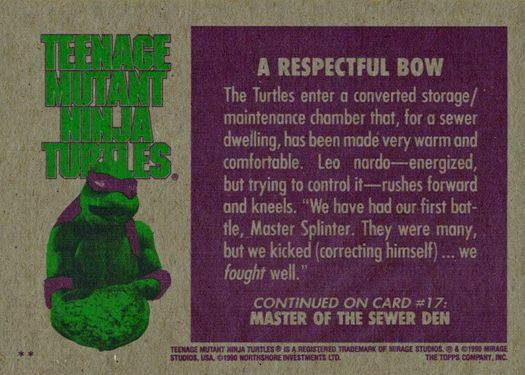 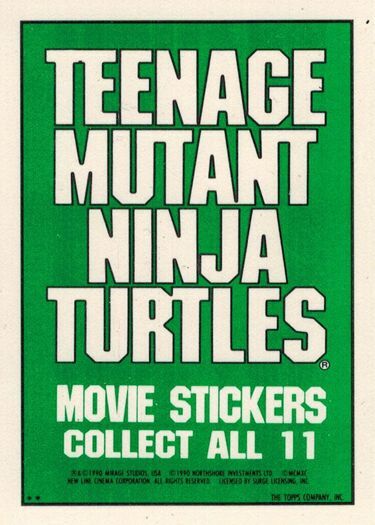 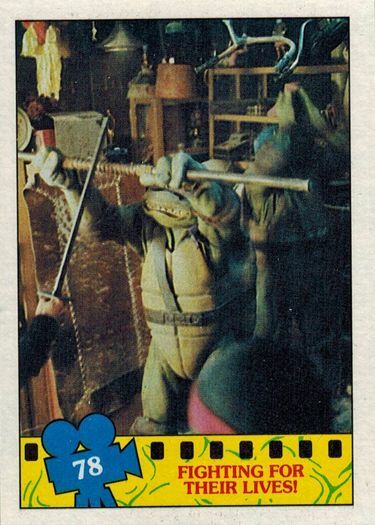 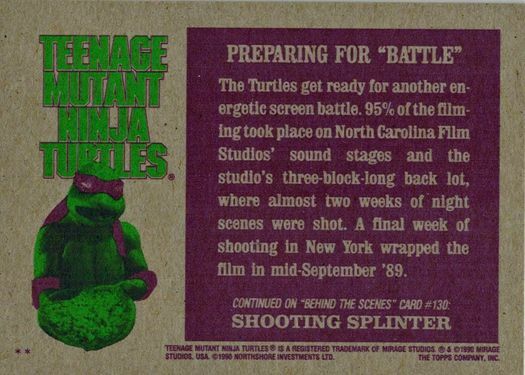 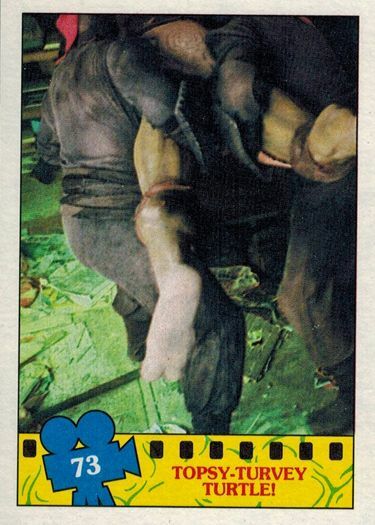 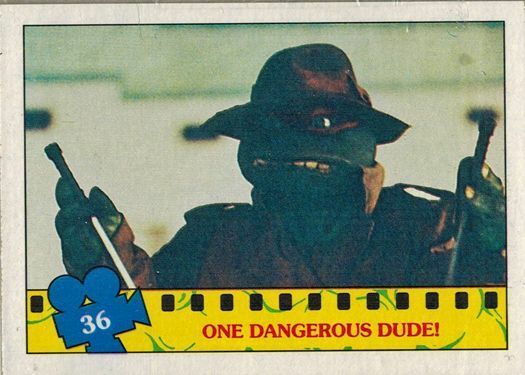 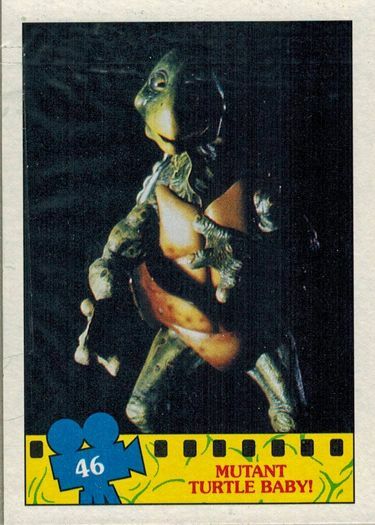 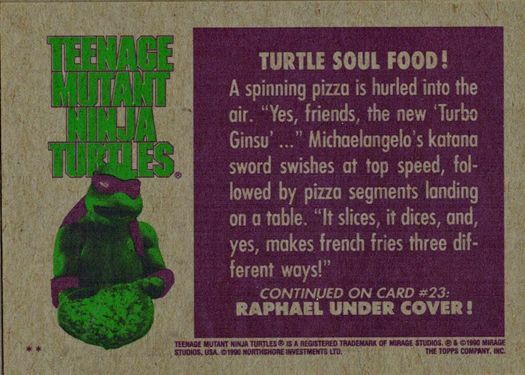 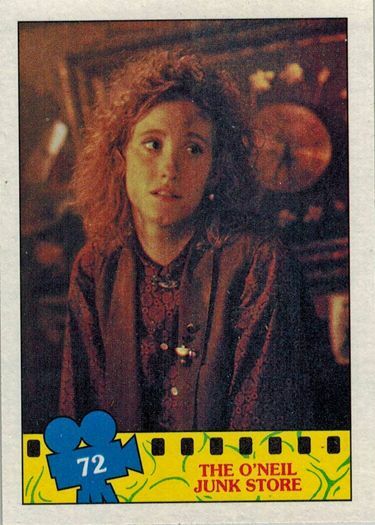 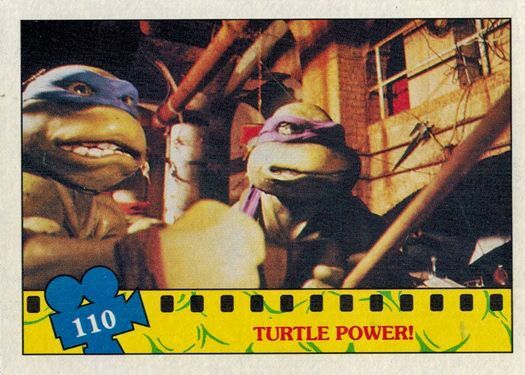 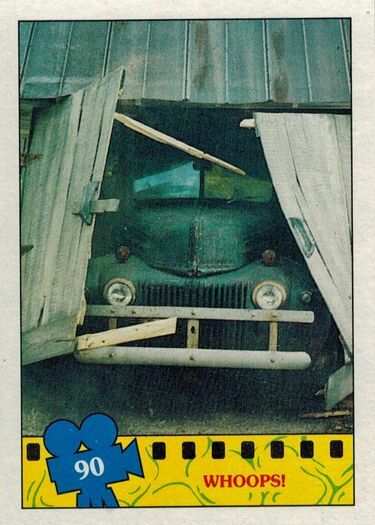 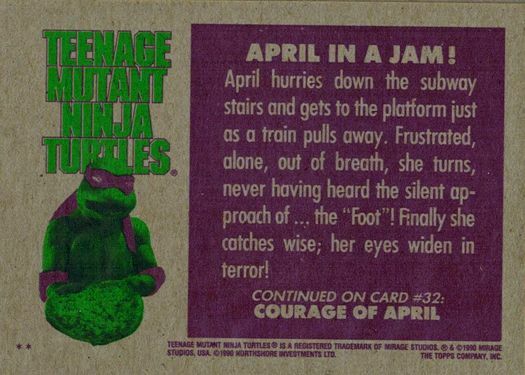 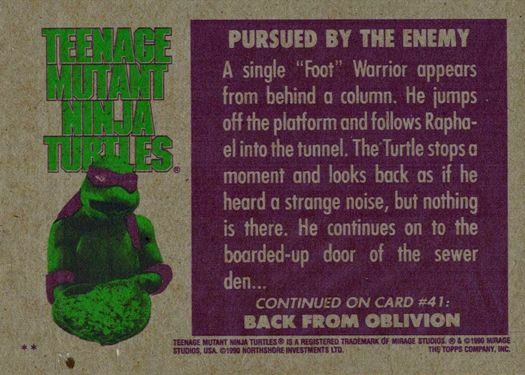 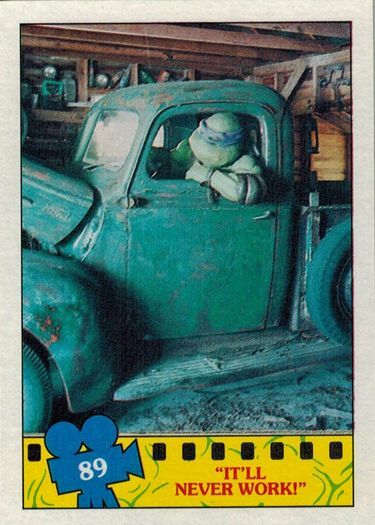 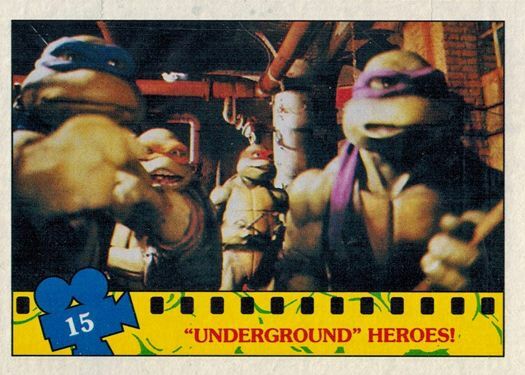 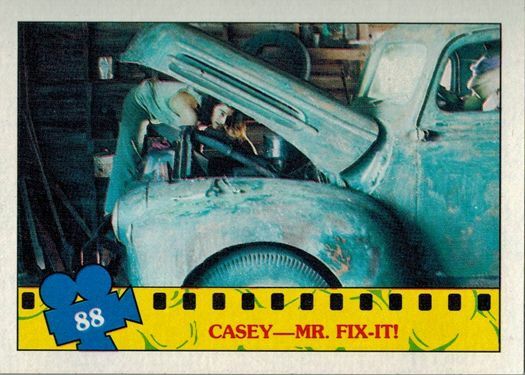 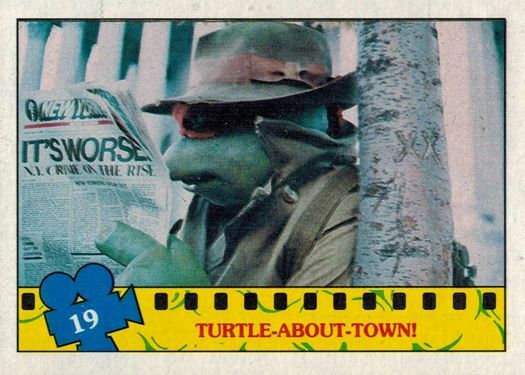 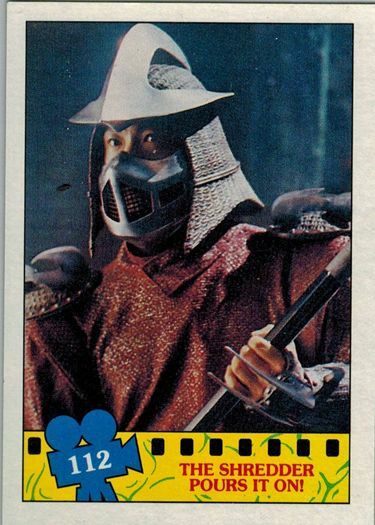 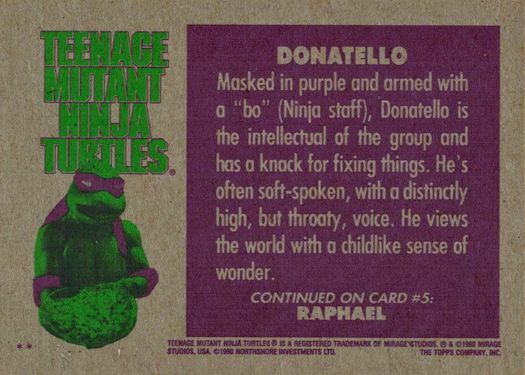 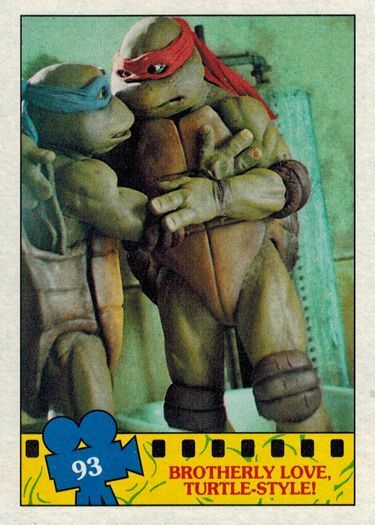 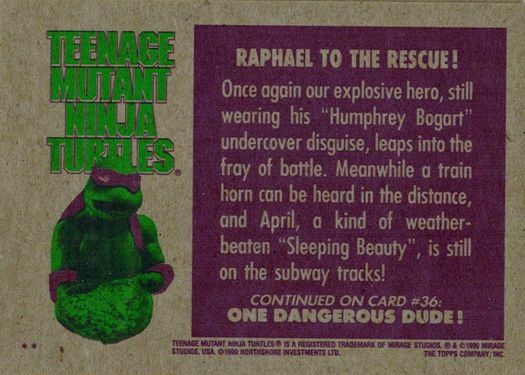 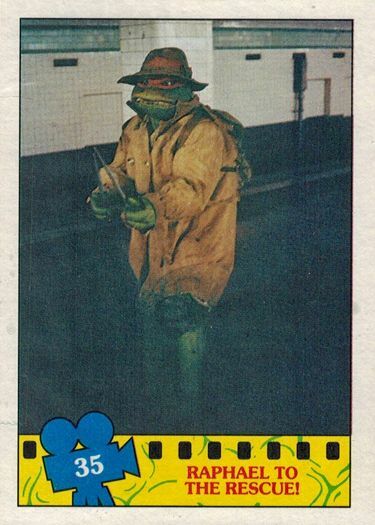 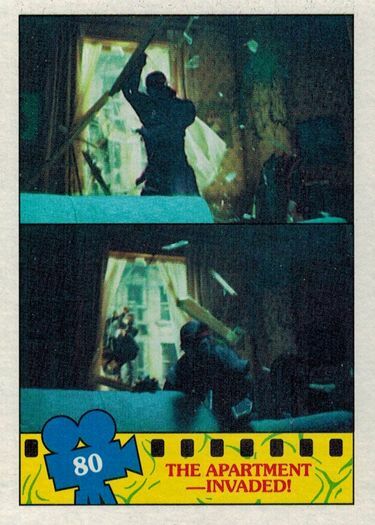 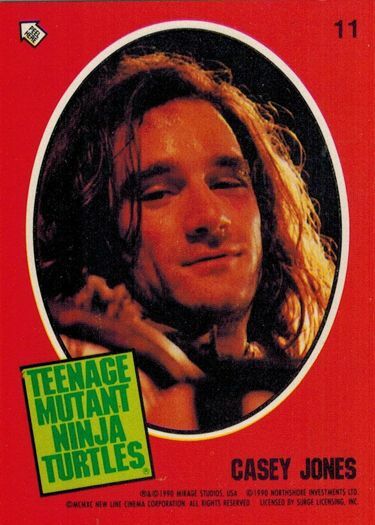 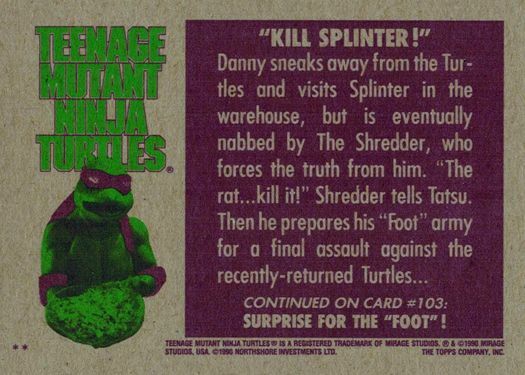 As much as I loved these cards, I hated the misidentification of the Turtles. 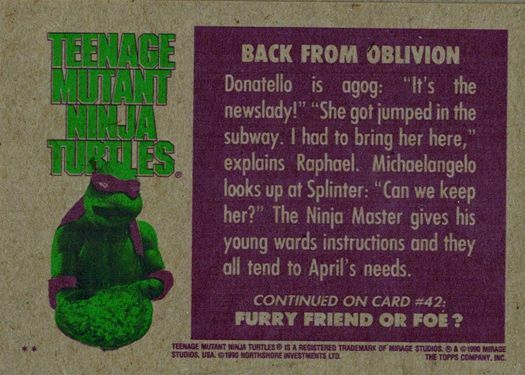 Leo is NOT Donnie. 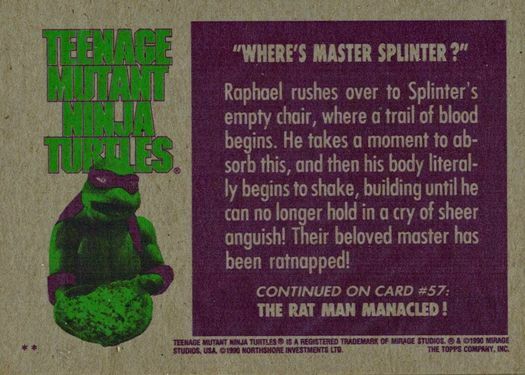 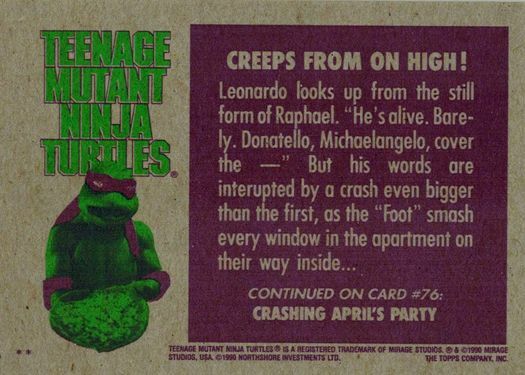 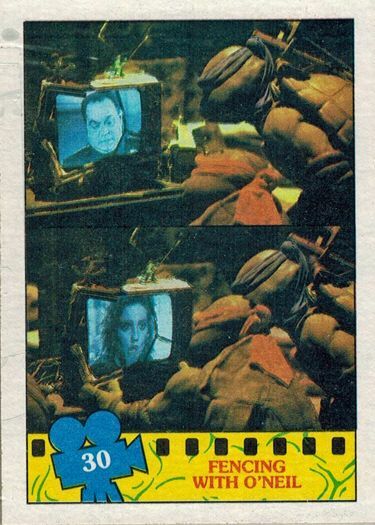 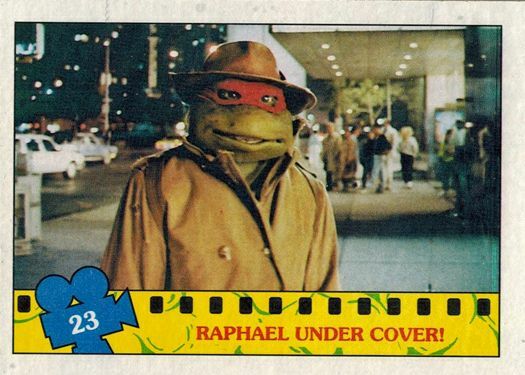 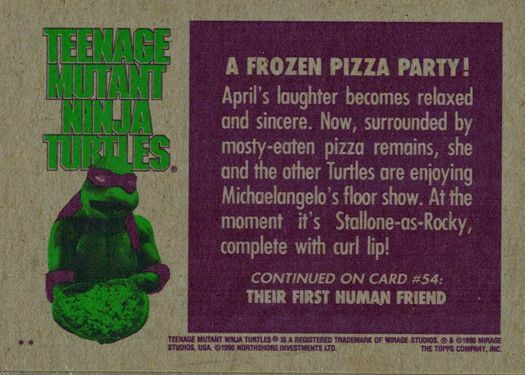 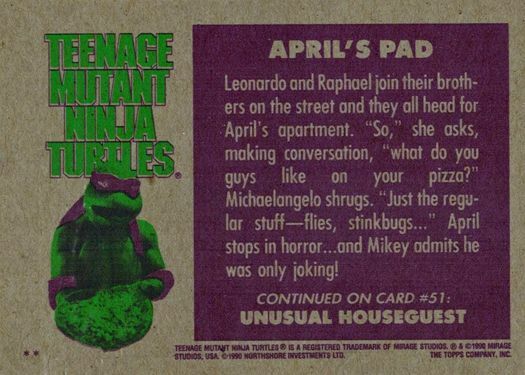 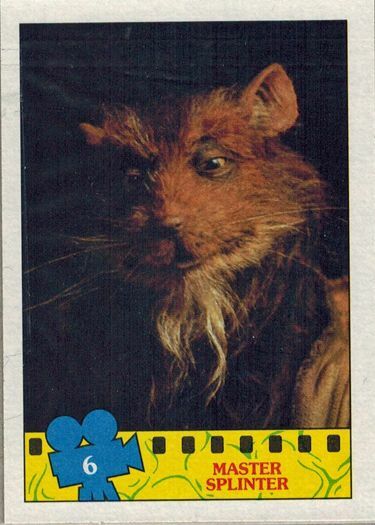 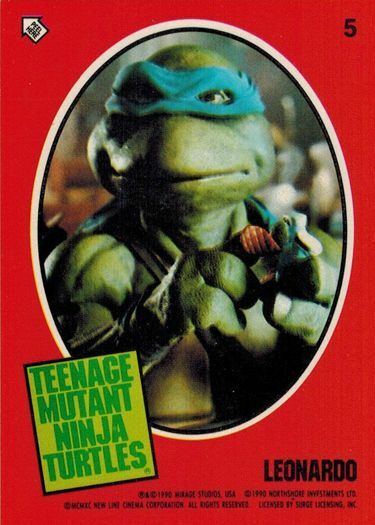 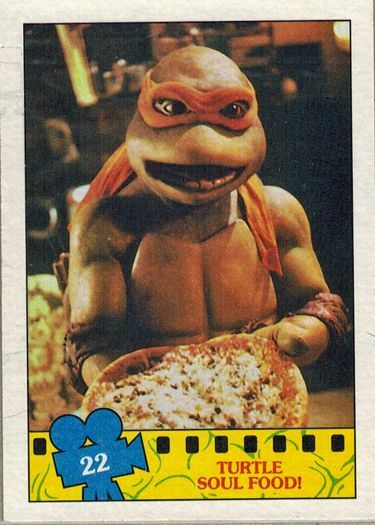 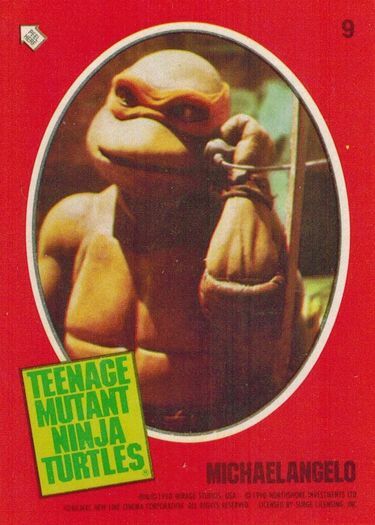 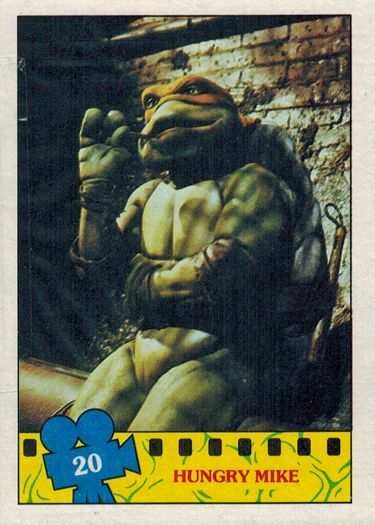 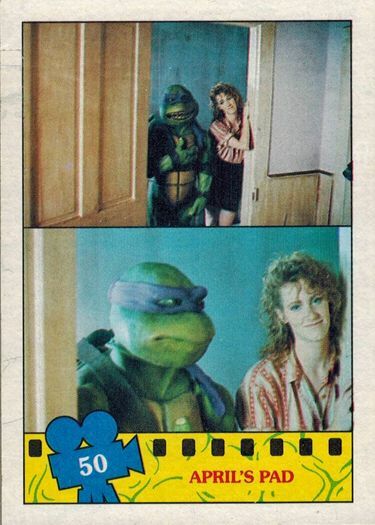 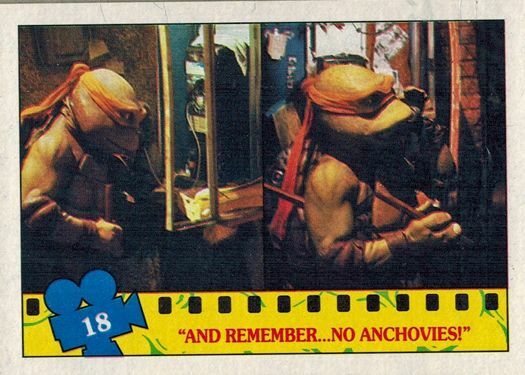 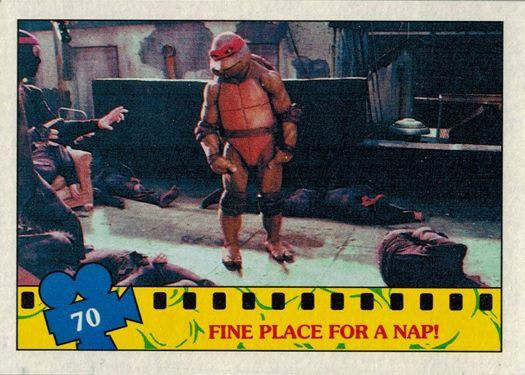 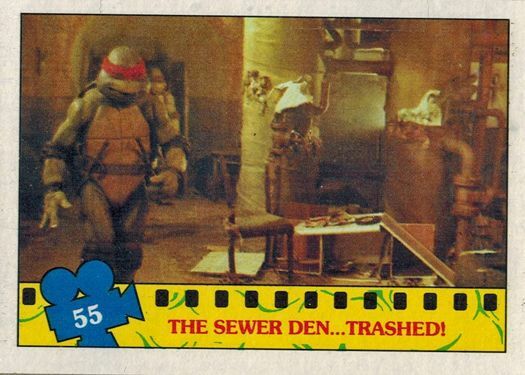 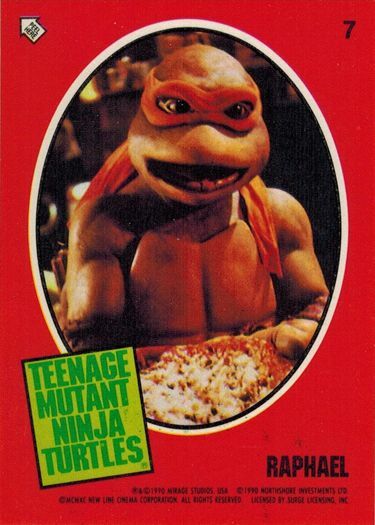 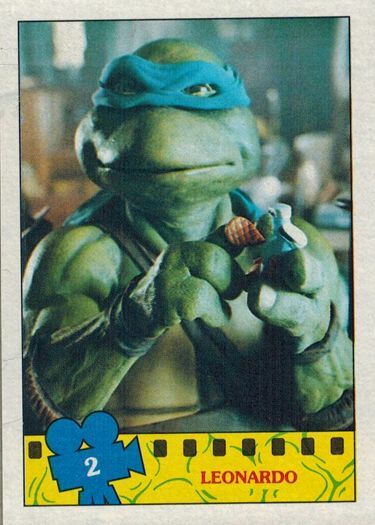 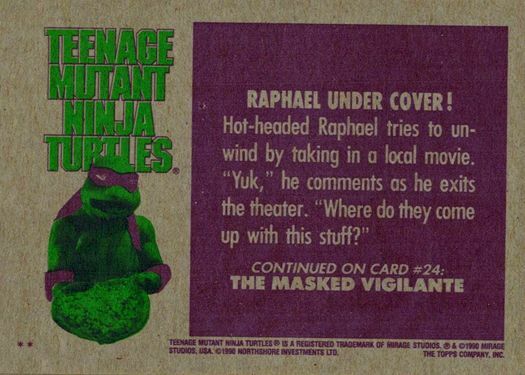 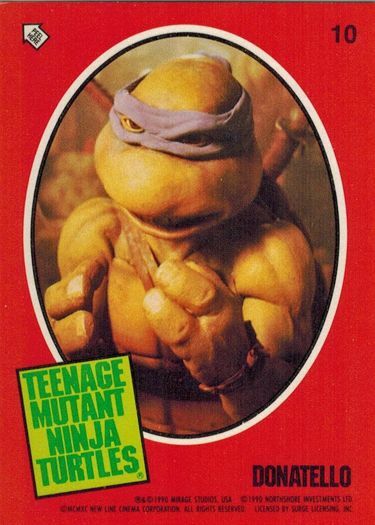 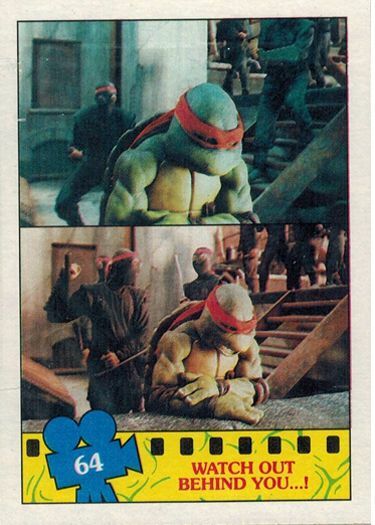 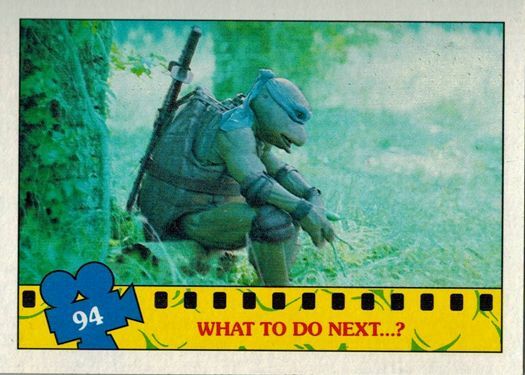 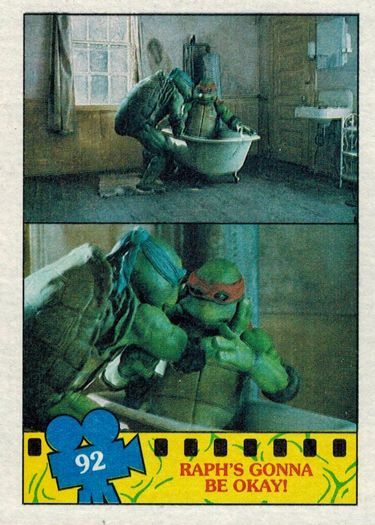 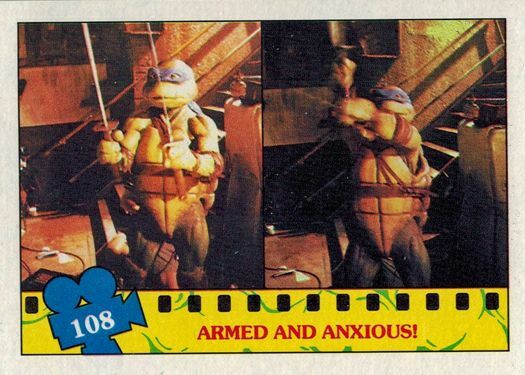 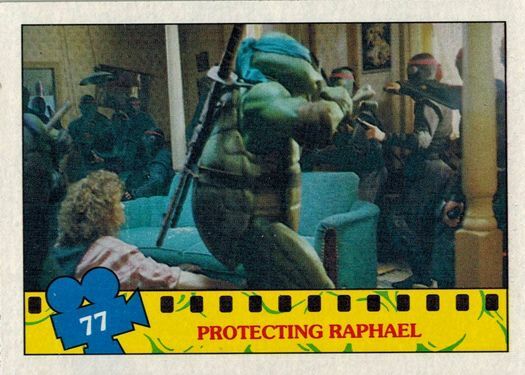 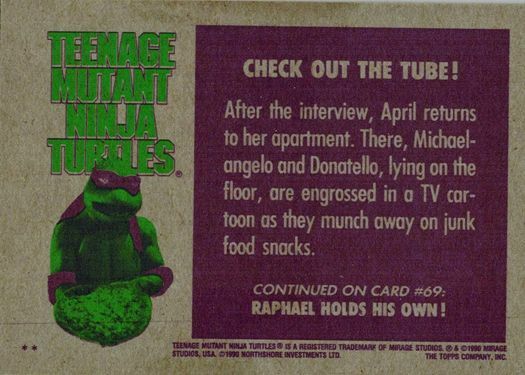 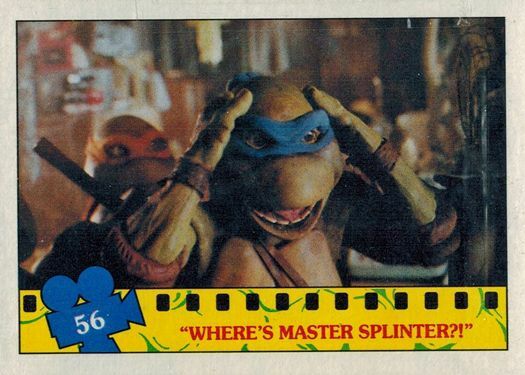 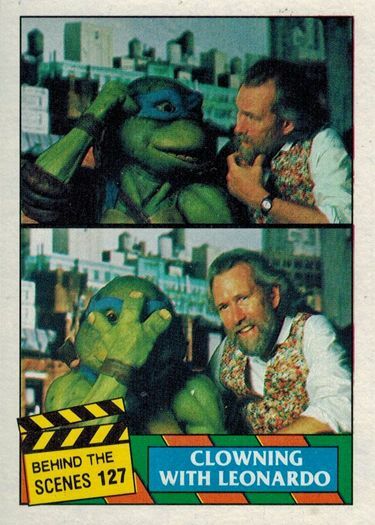 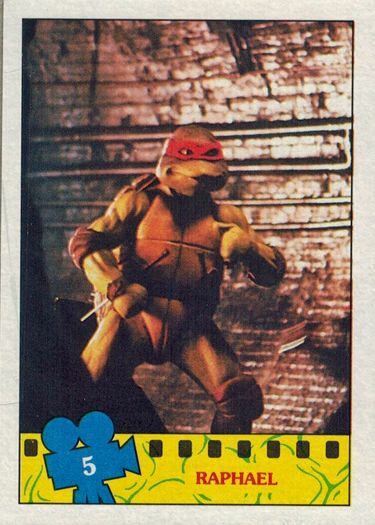 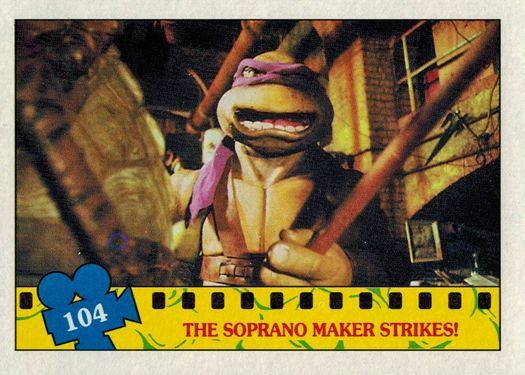 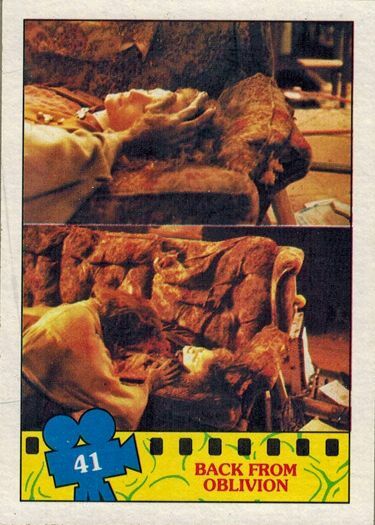 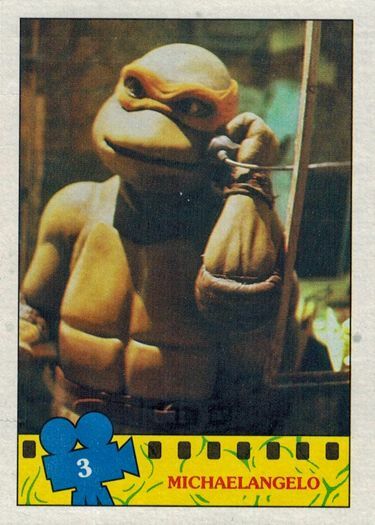 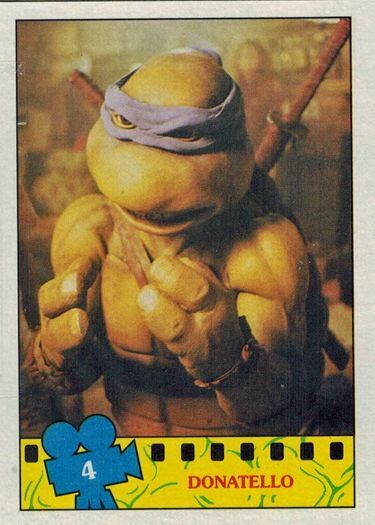 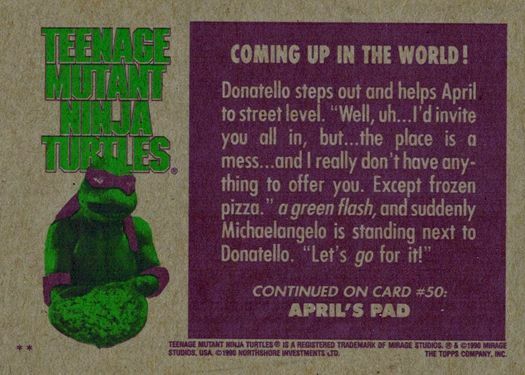 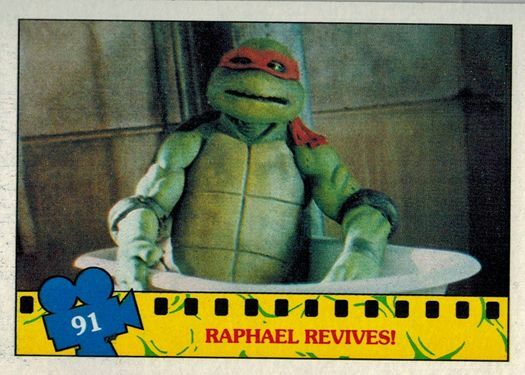 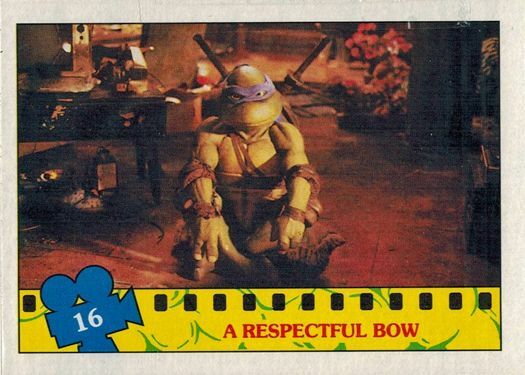 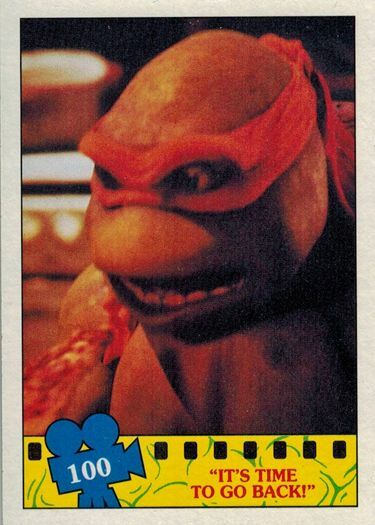 Mikey is NOT Raph.